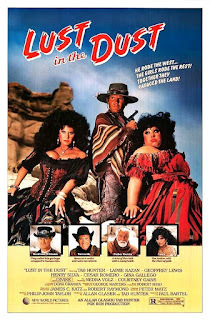 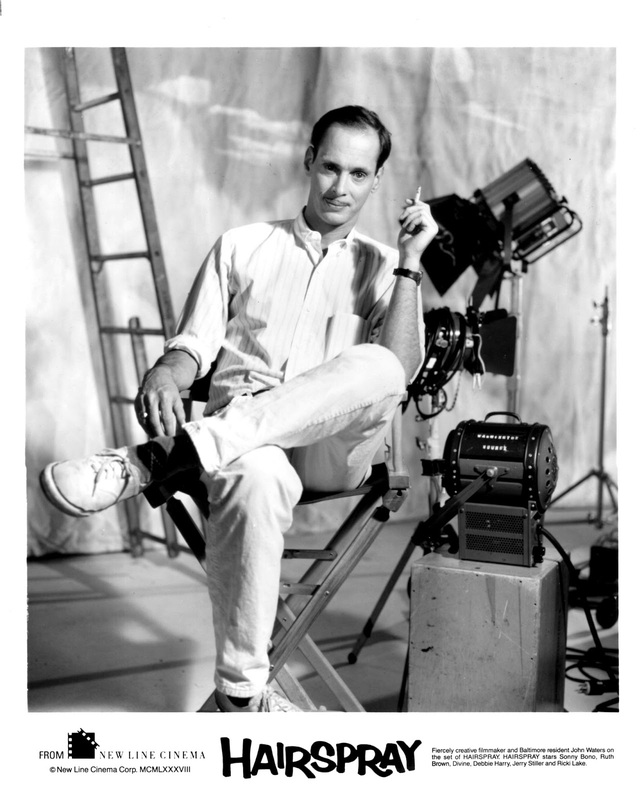 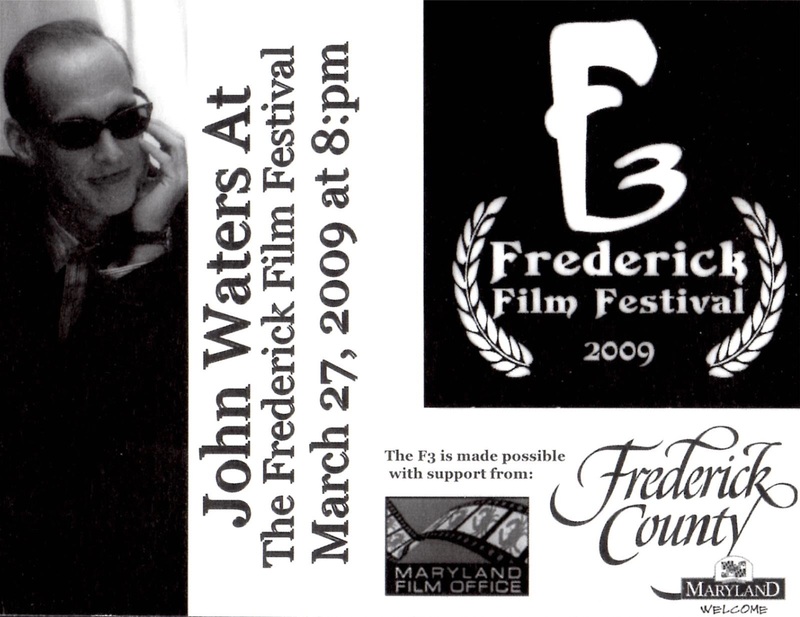 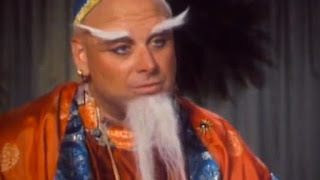 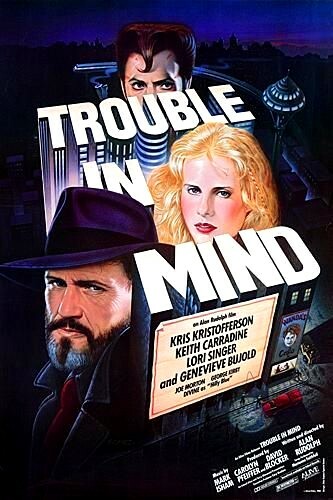 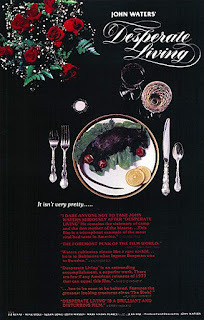 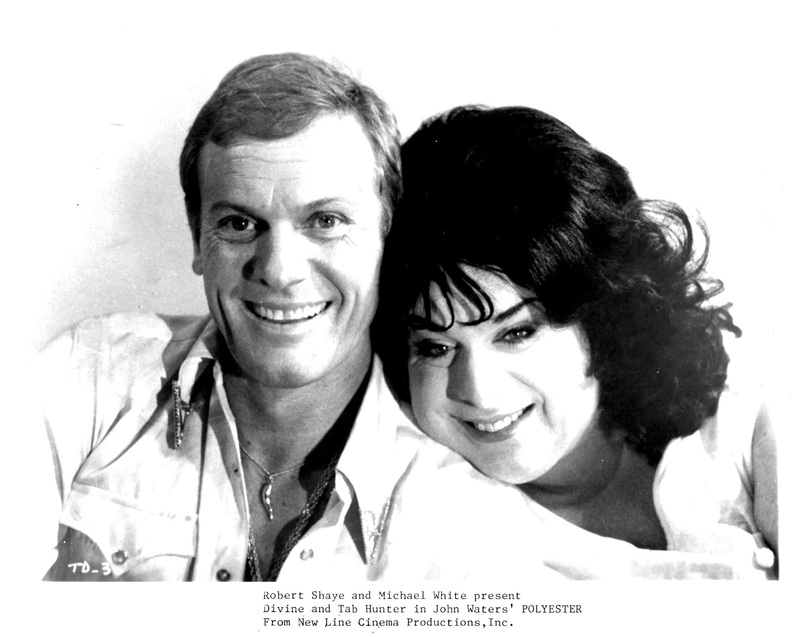 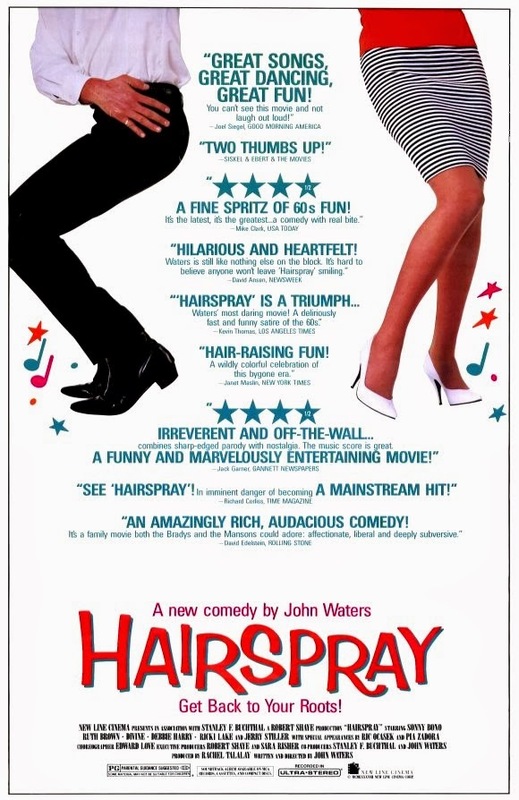 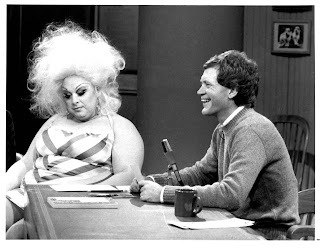 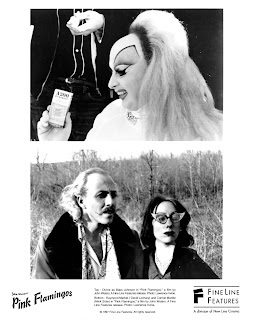 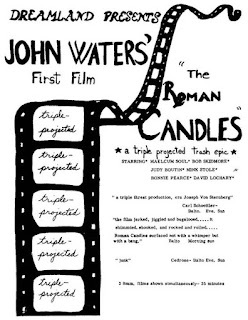 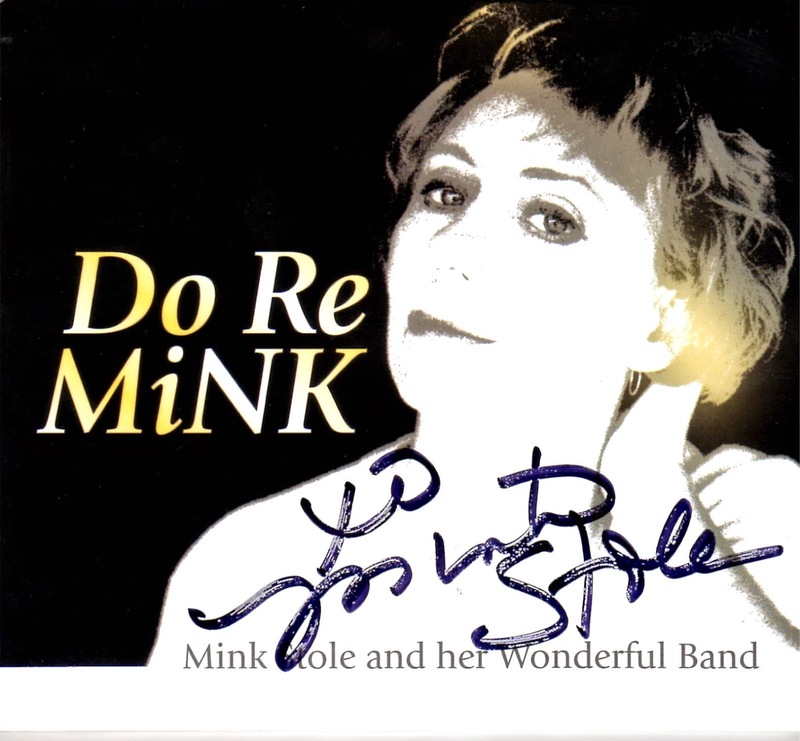 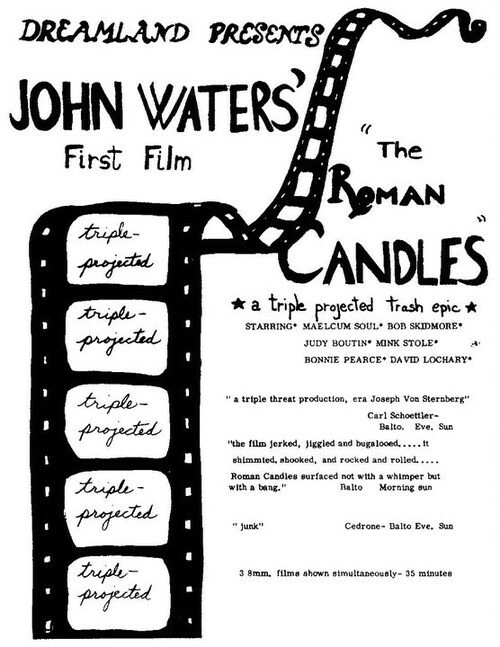 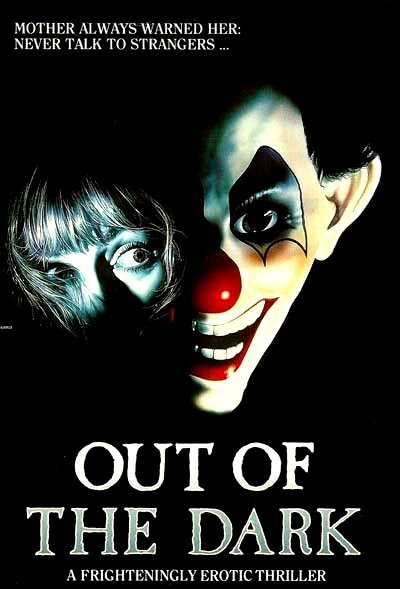 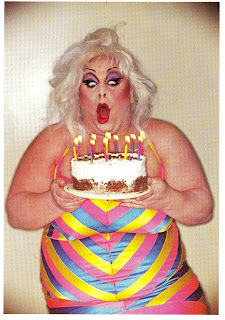 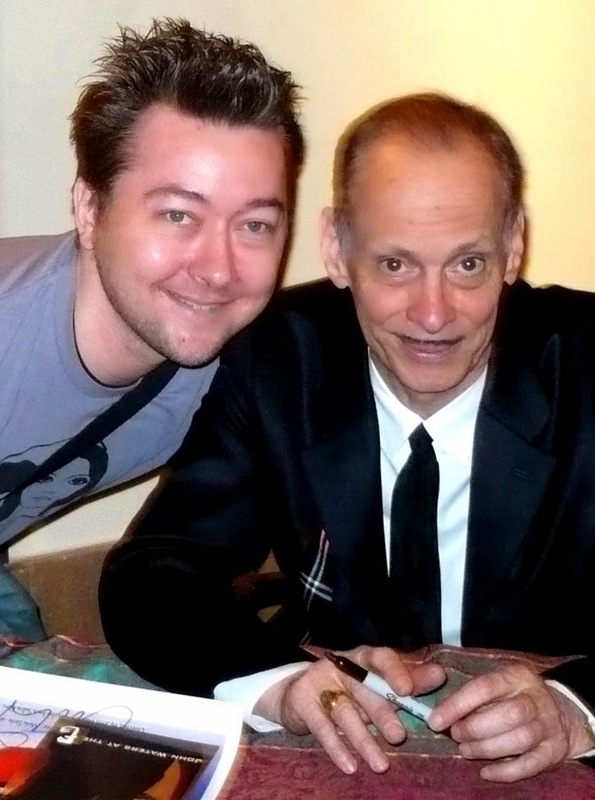 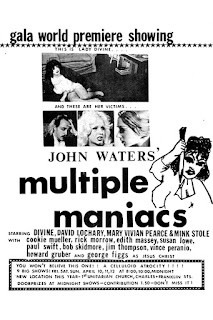 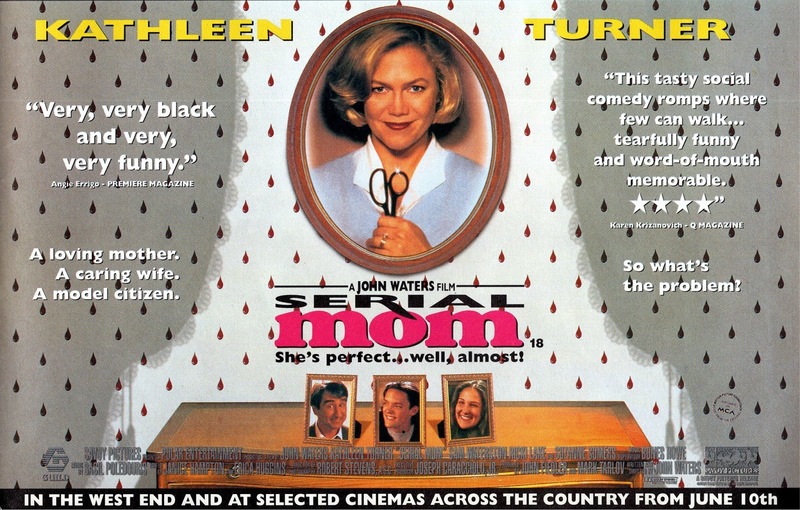 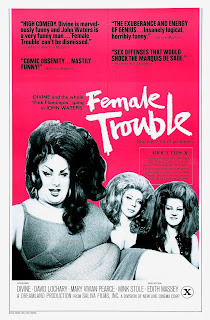 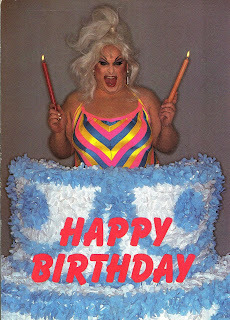 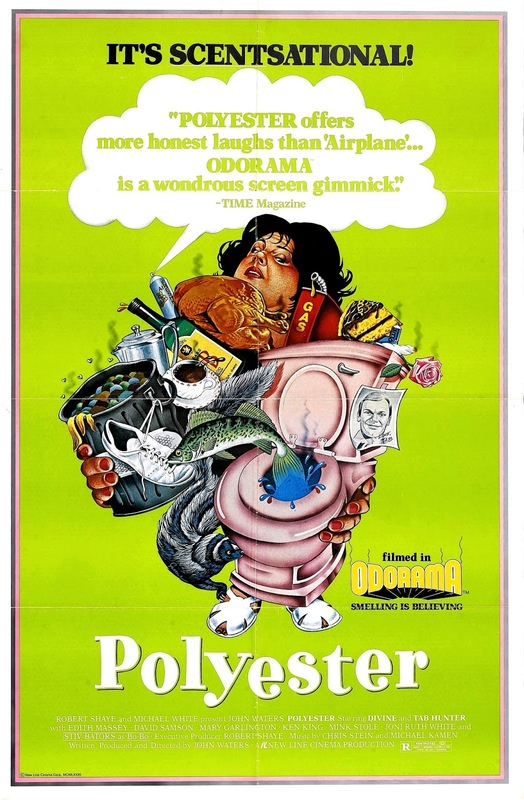 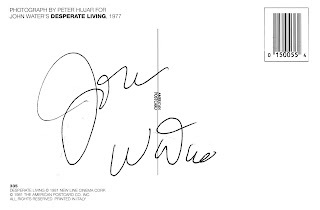 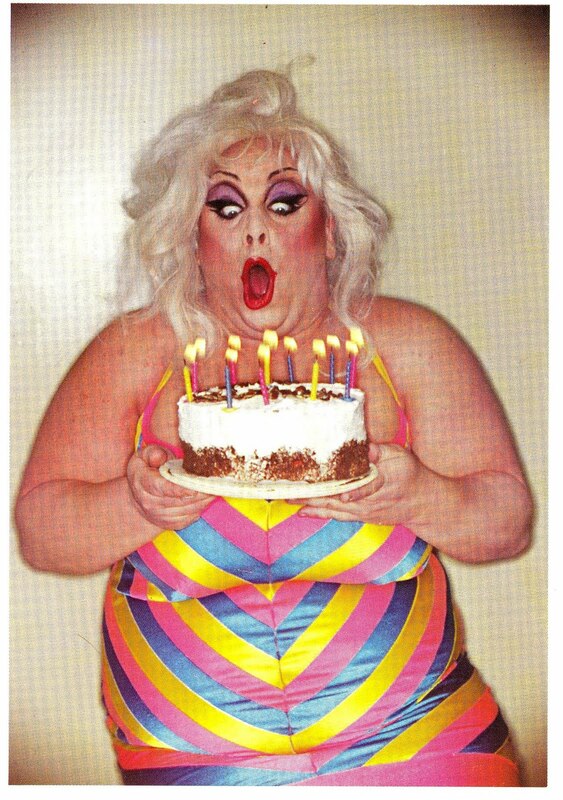 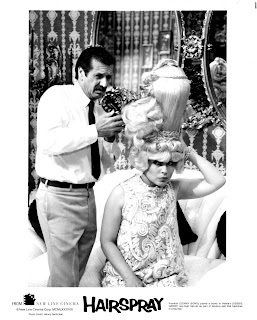 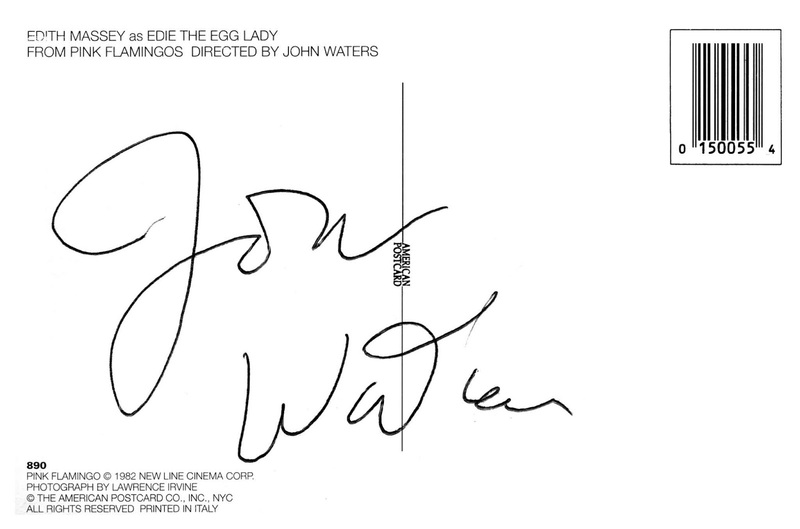 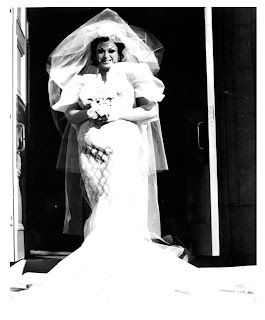 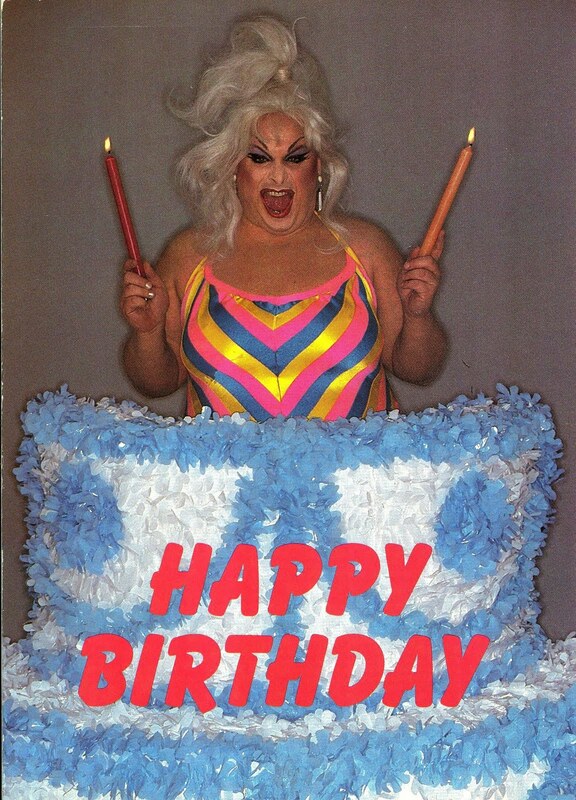 TAB HUNTER AS "TODD TOMORROW" & DIVINE AS "FRANCINE FISHPAW"
HAVE A STAR STUDDED BIRTHDAY! 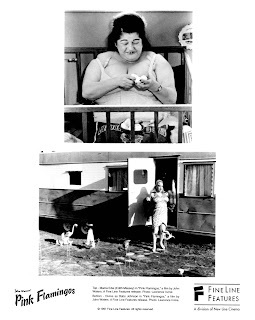 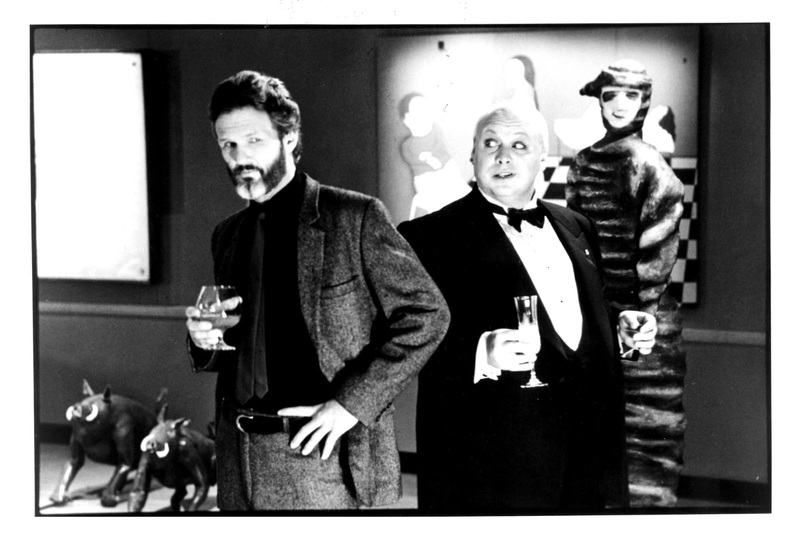 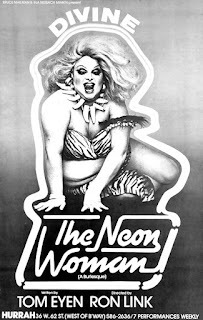 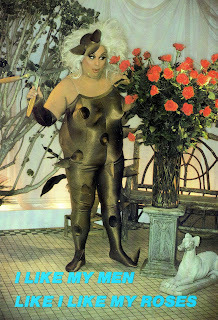 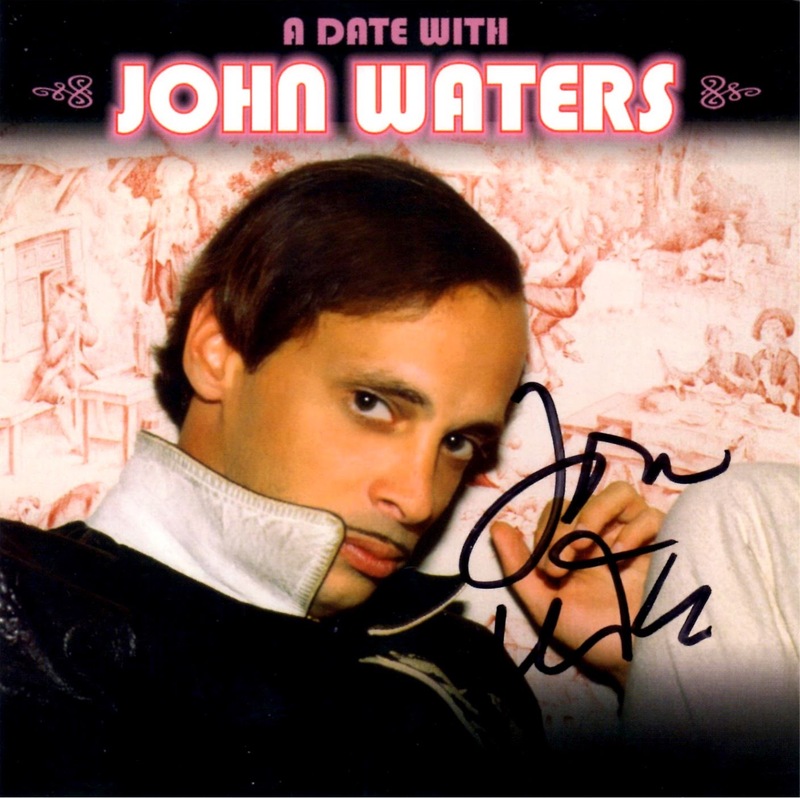 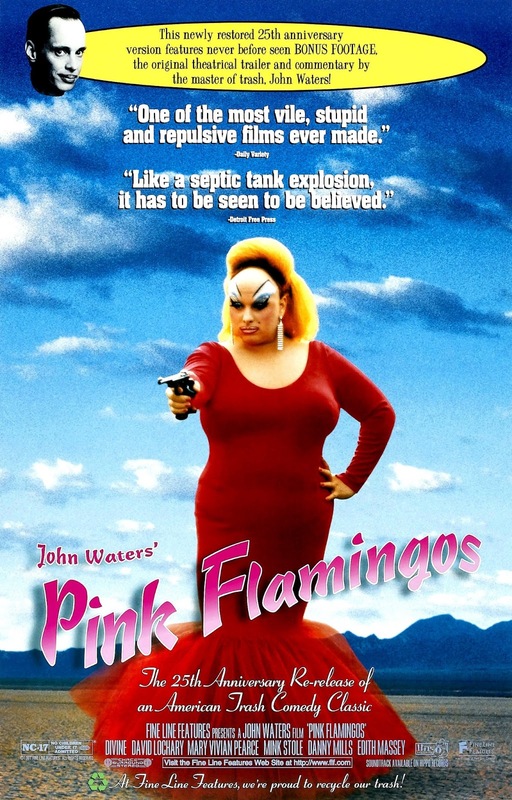 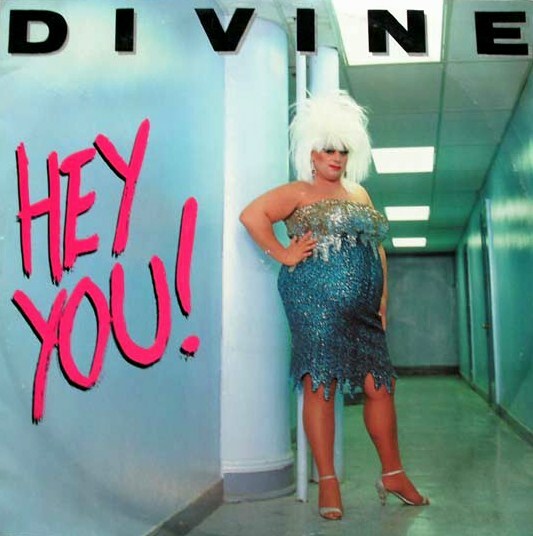 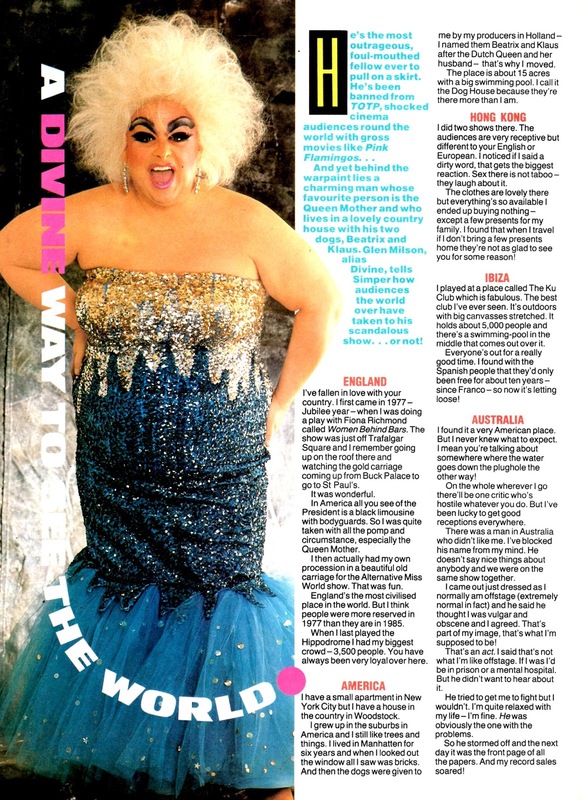 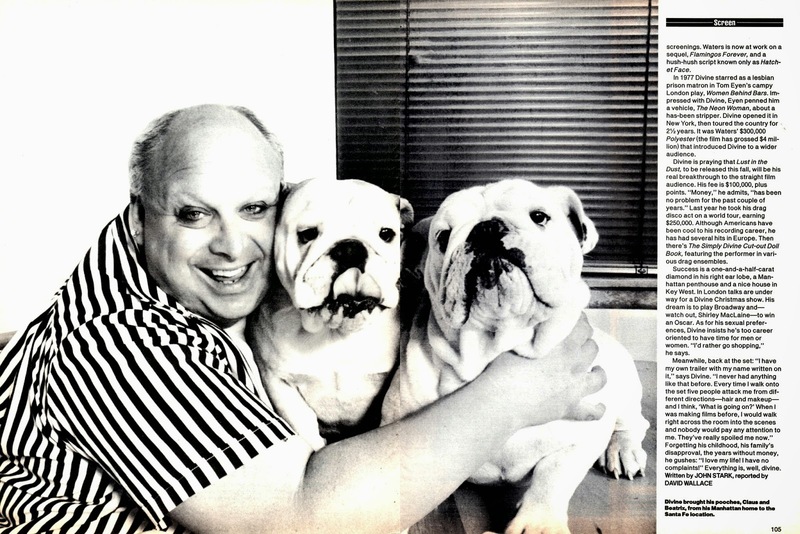 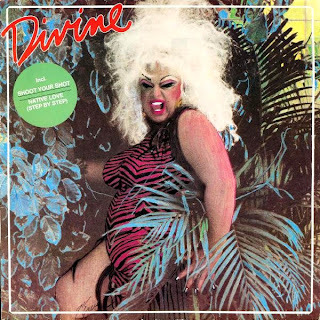 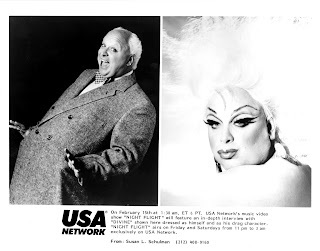 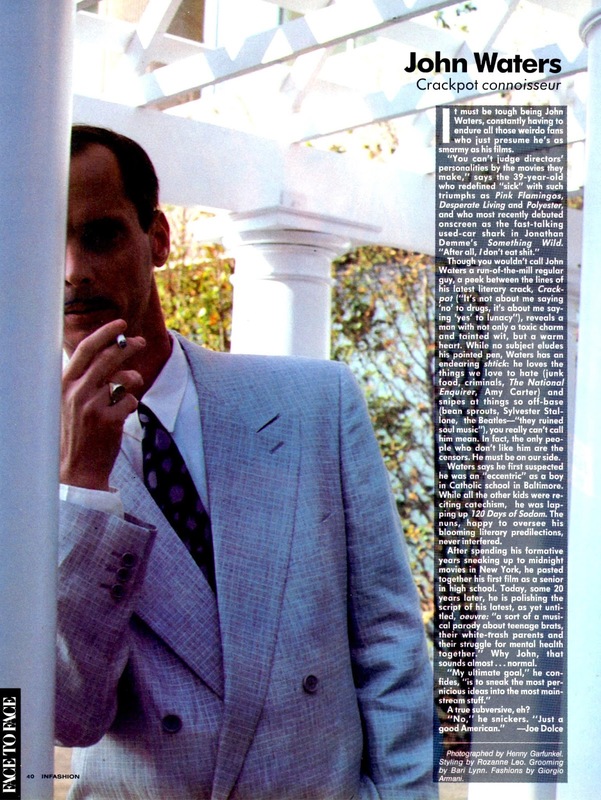 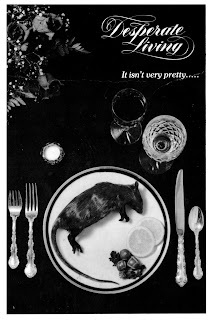 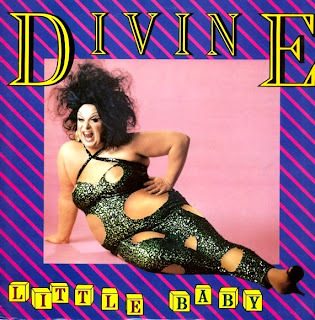 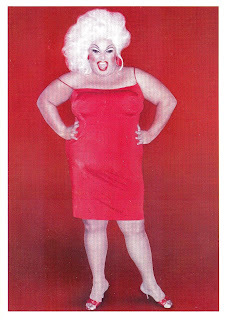 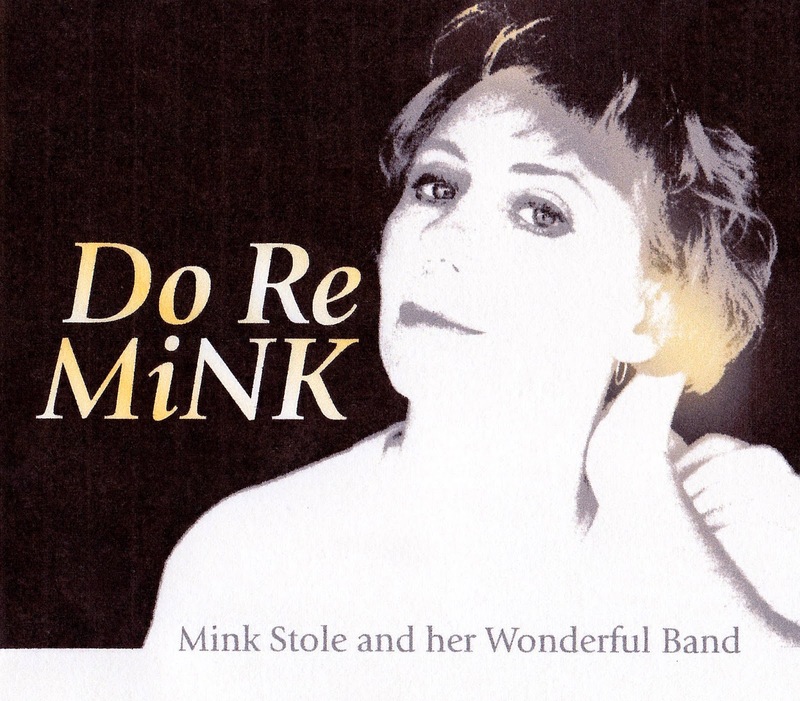 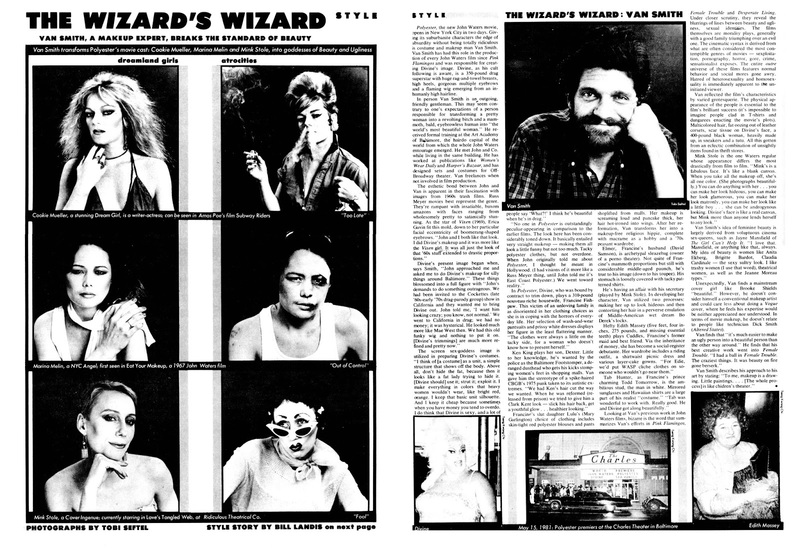 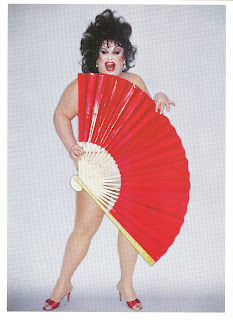 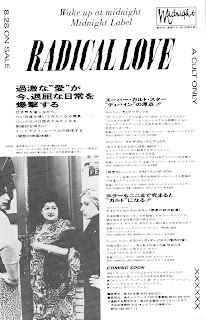 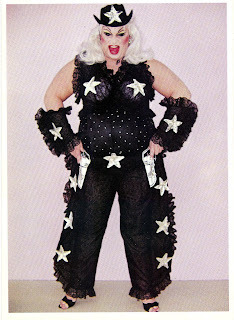 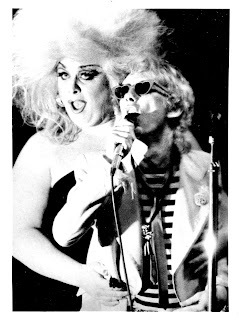 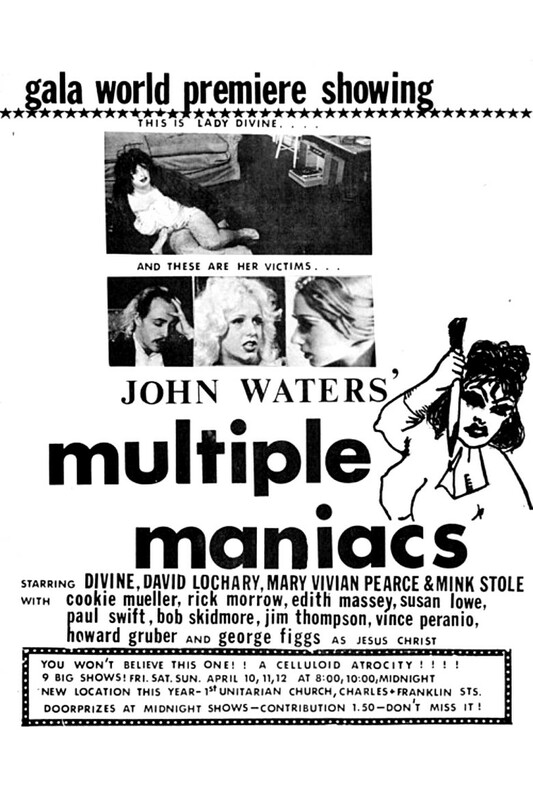 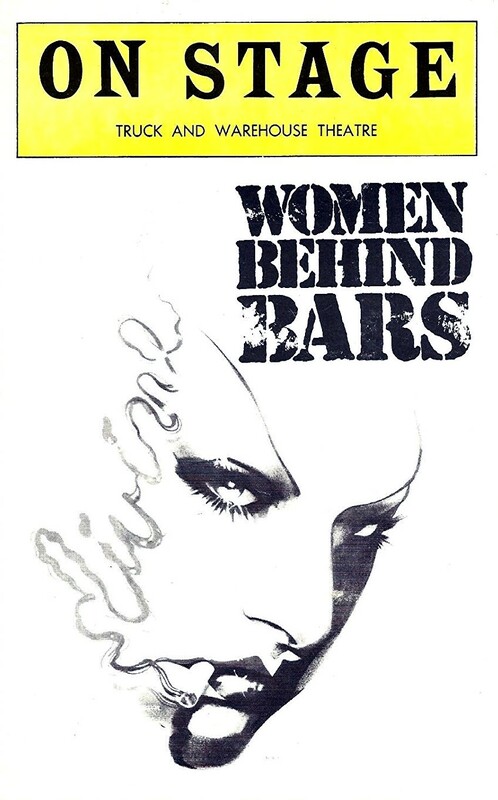 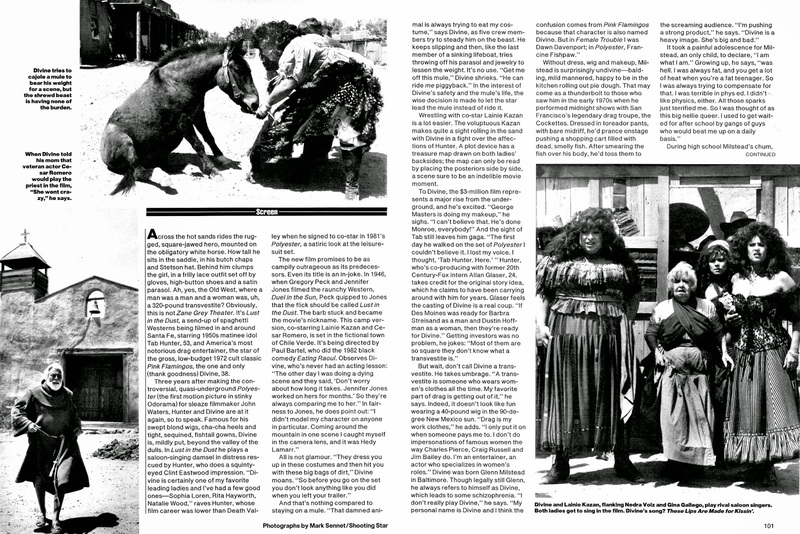 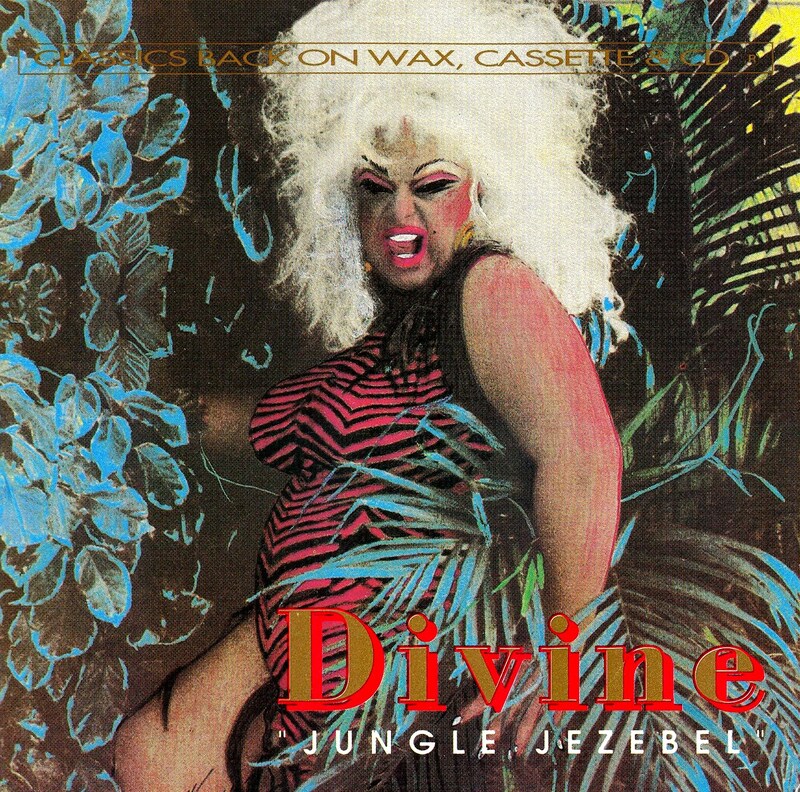 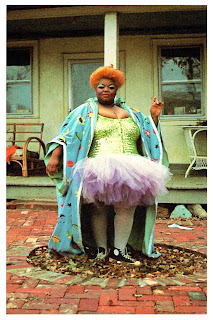 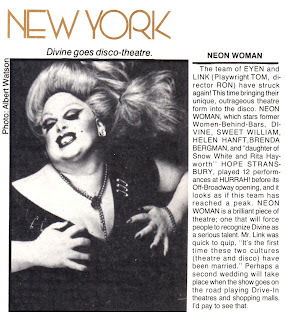 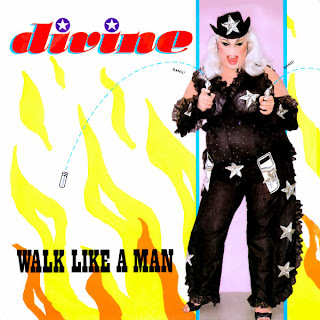 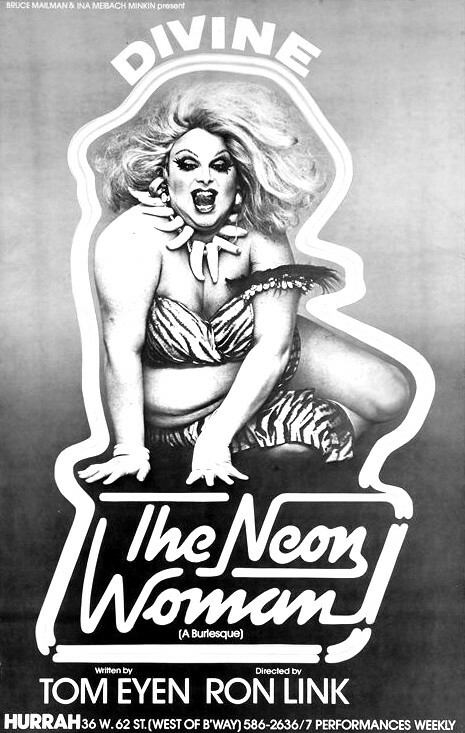 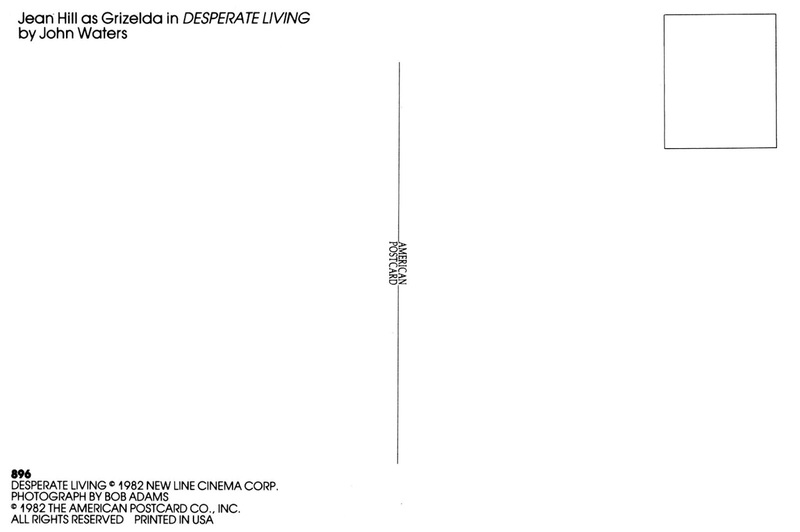 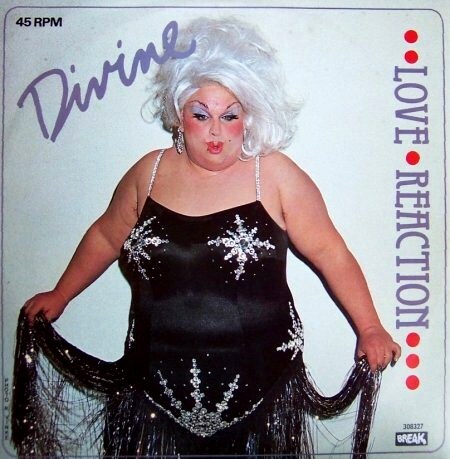 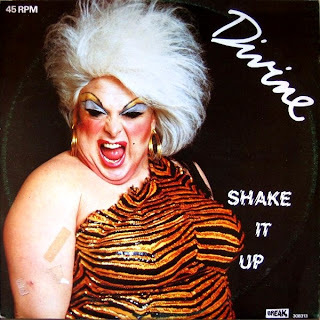 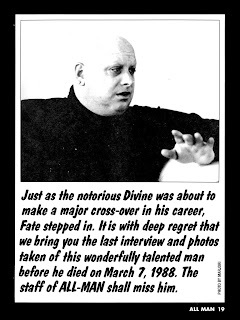 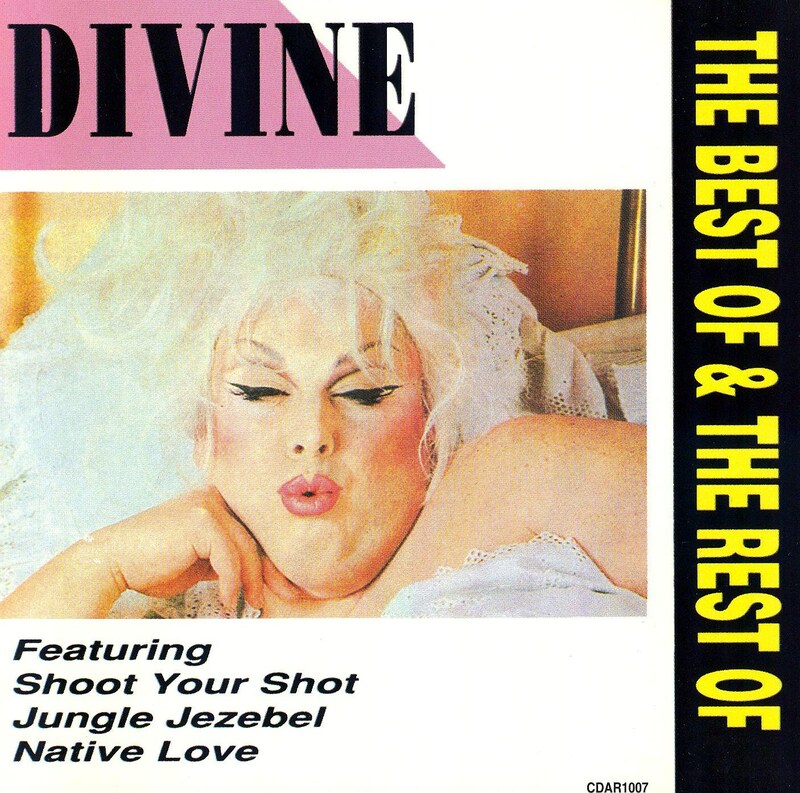 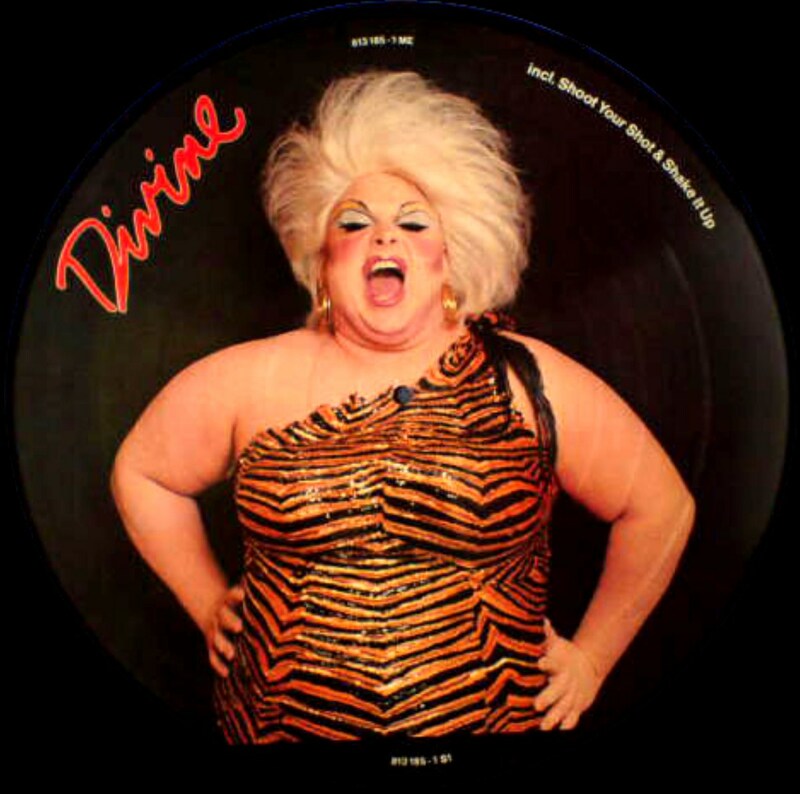 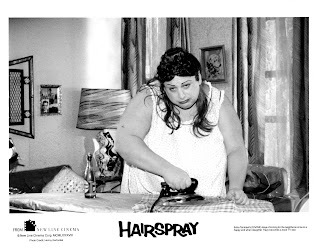 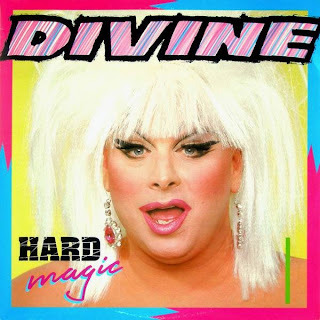 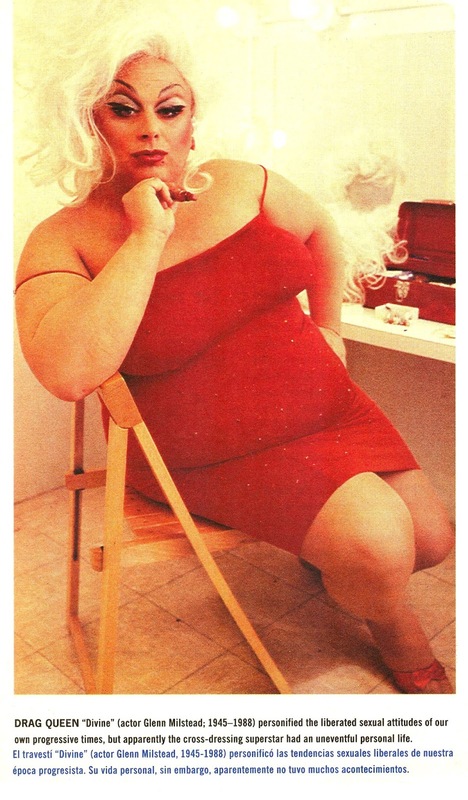 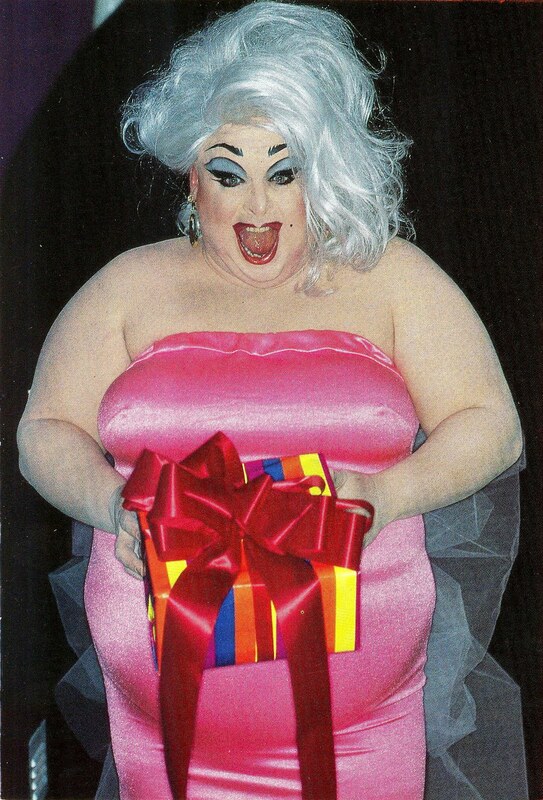 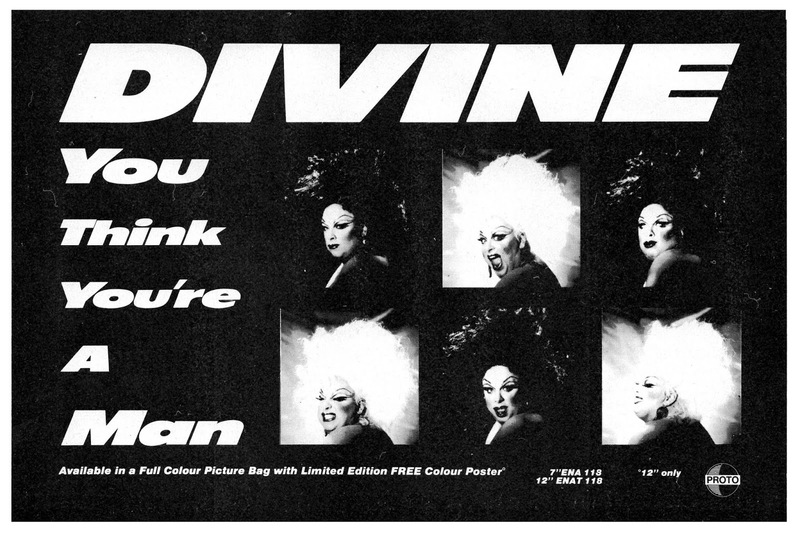 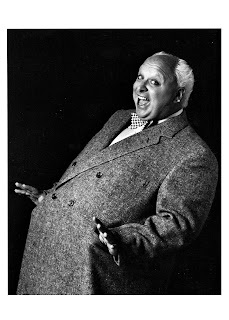 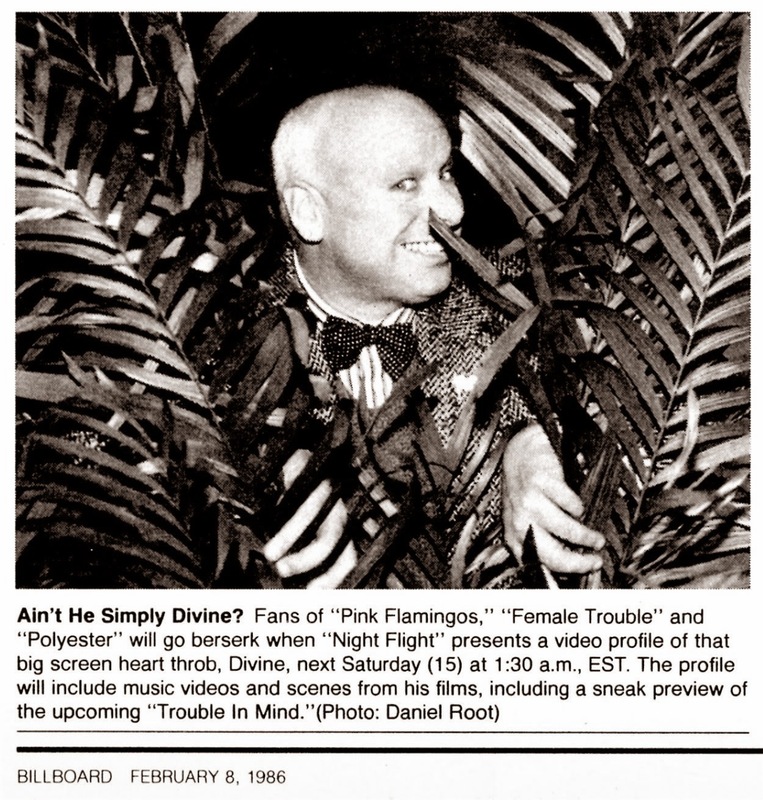 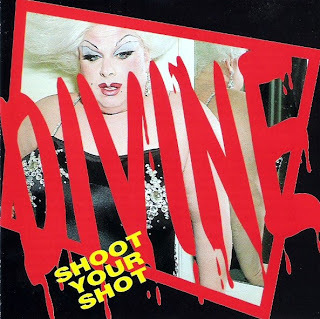 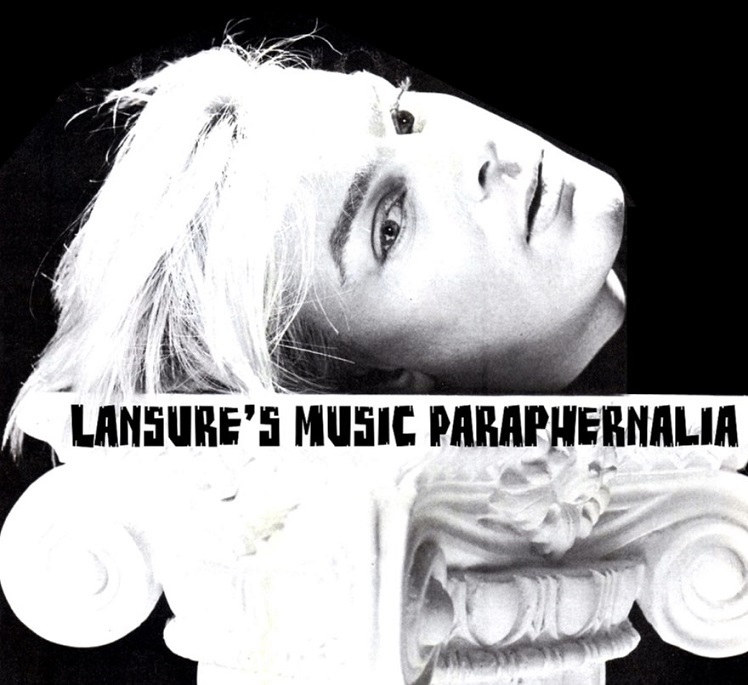 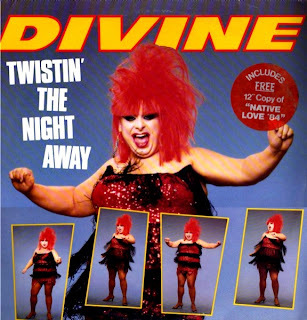 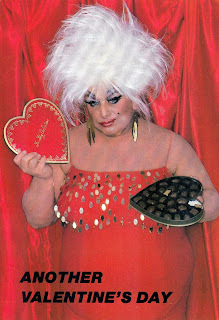 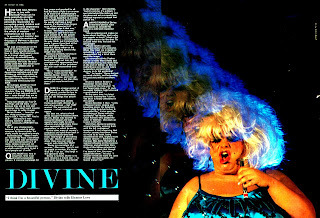 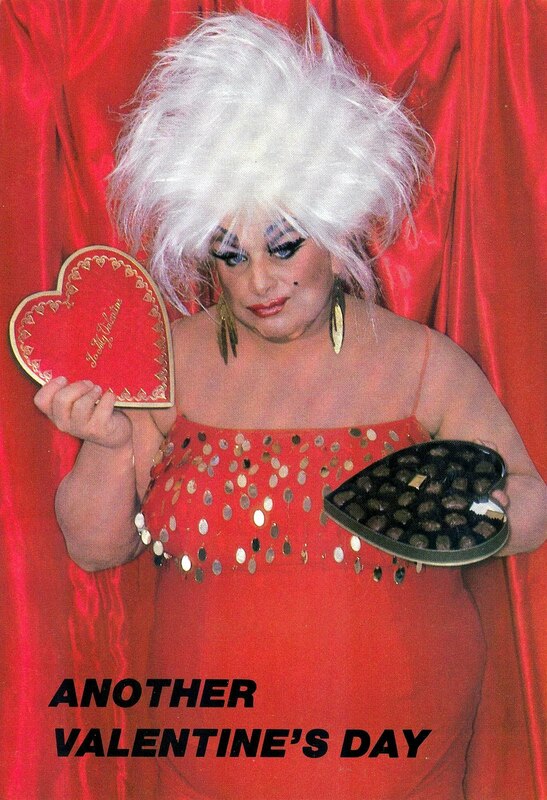 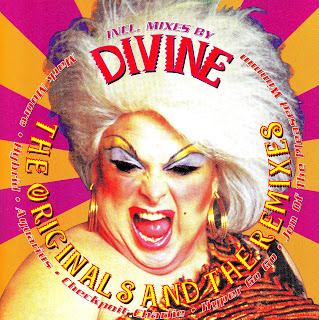 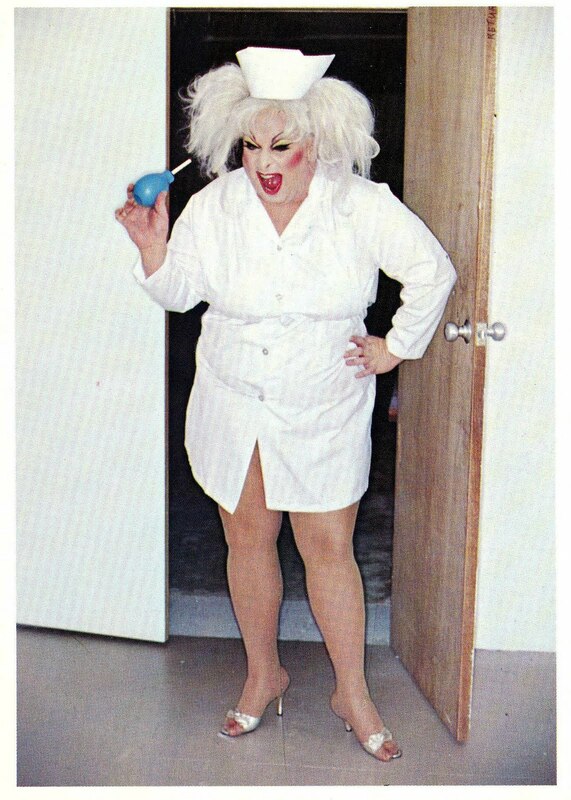 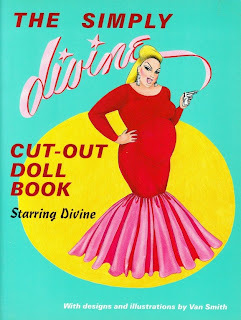 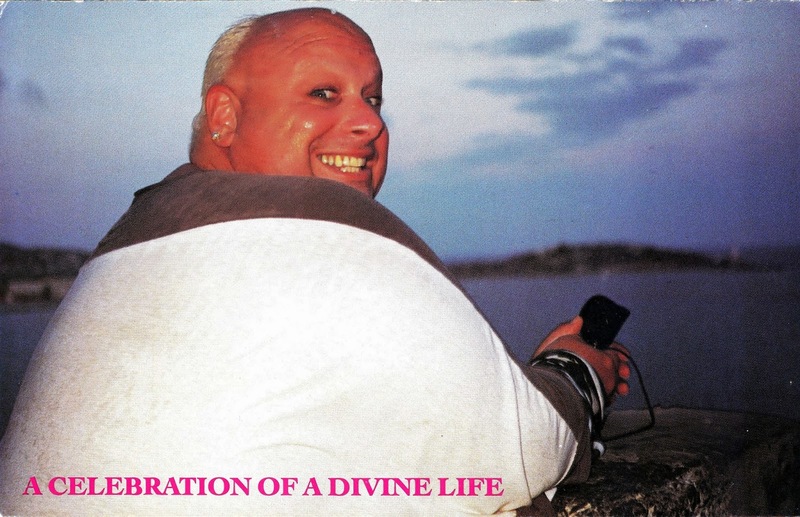 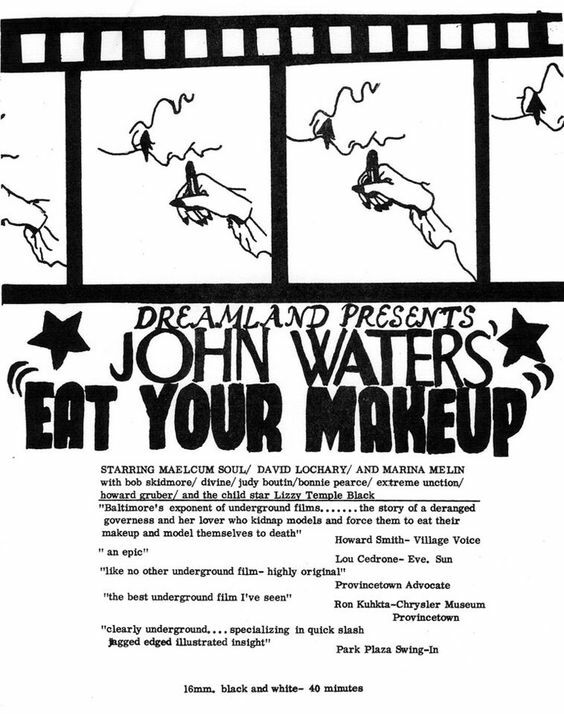 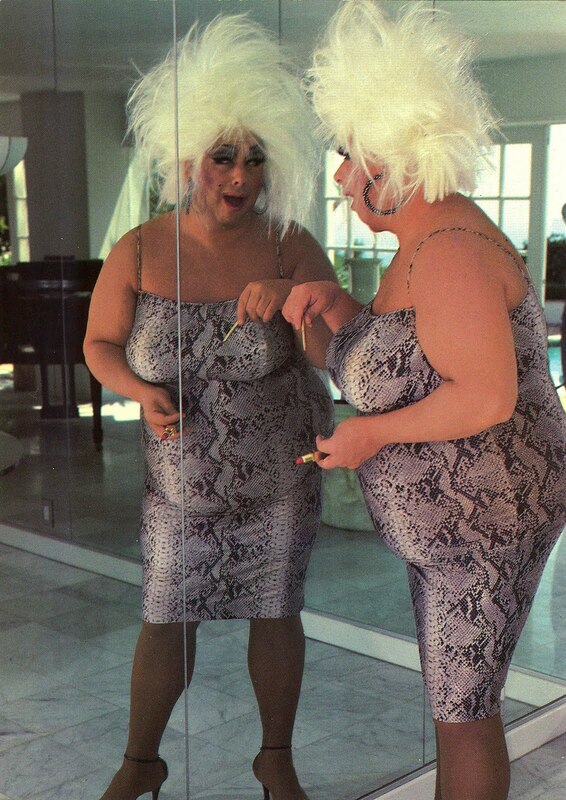 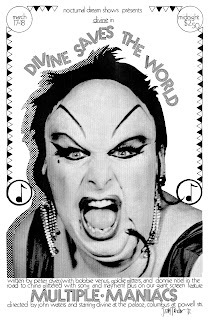 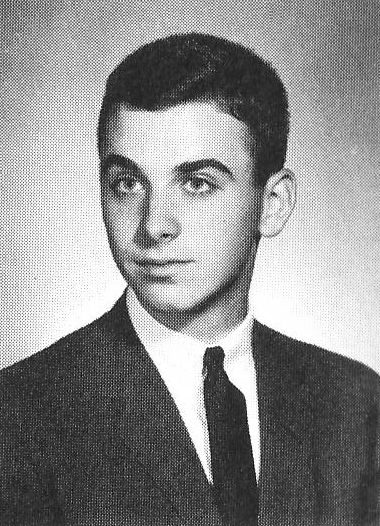 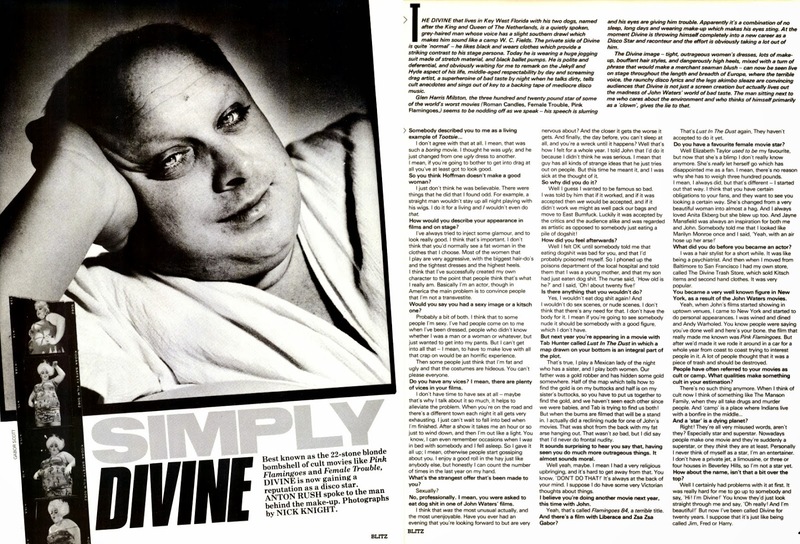 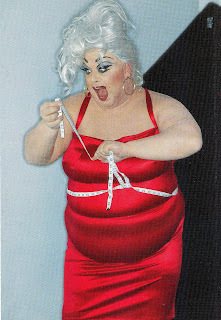 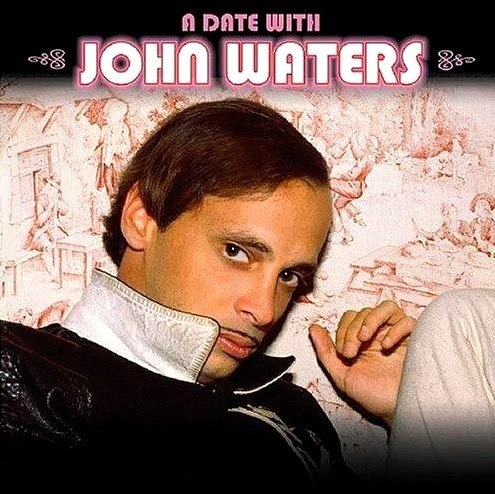 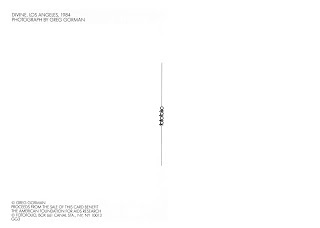 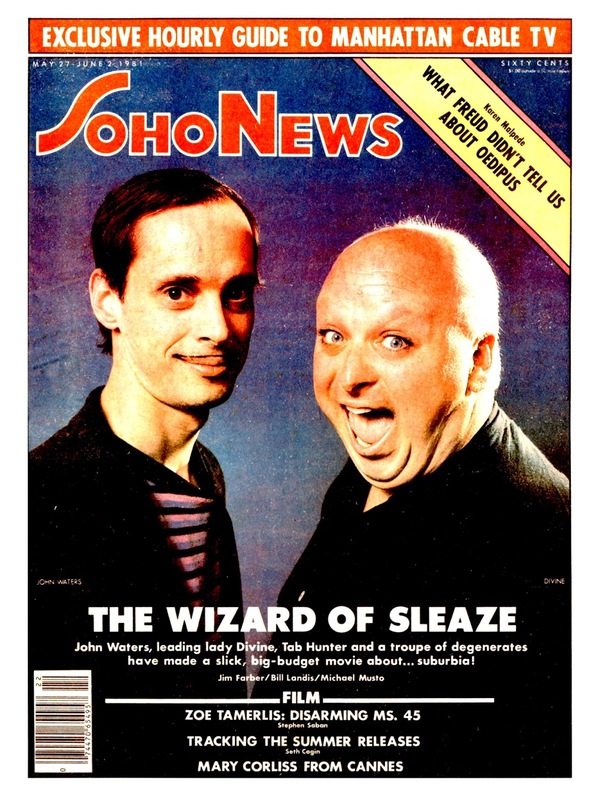 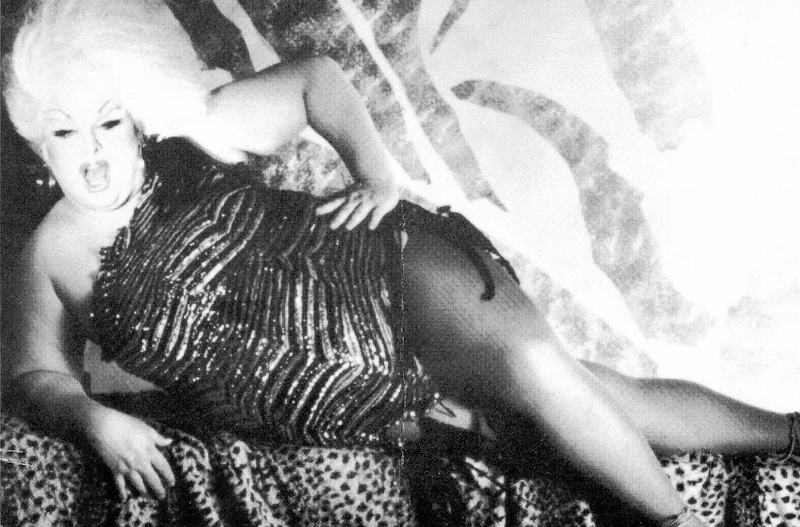 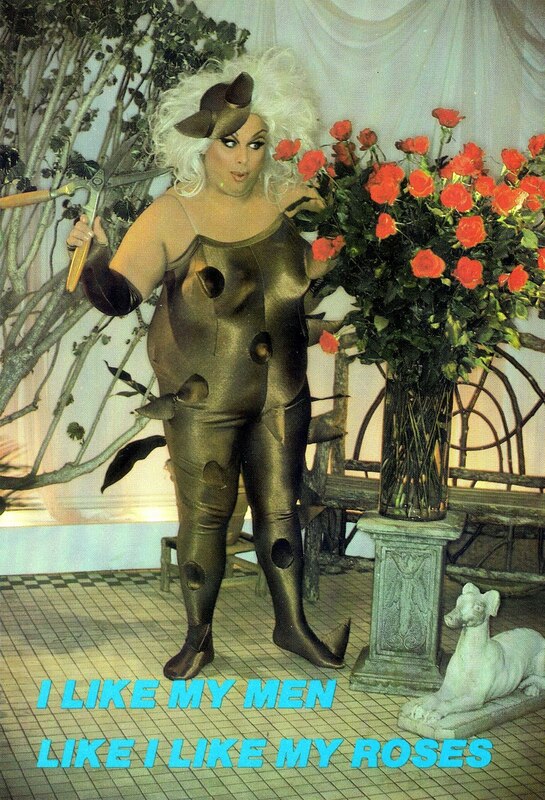 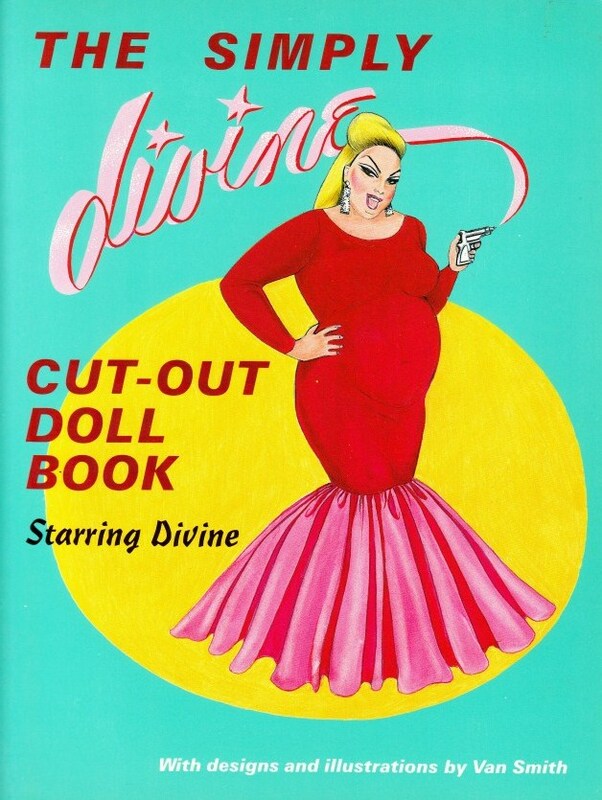 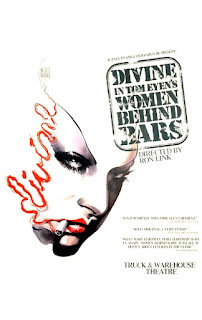 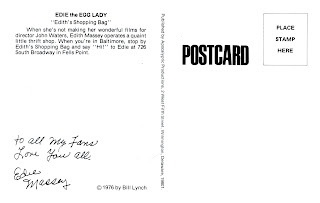 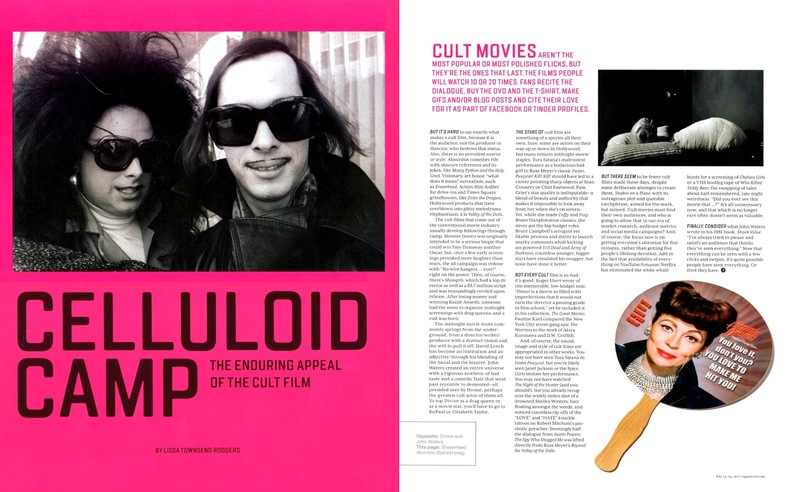 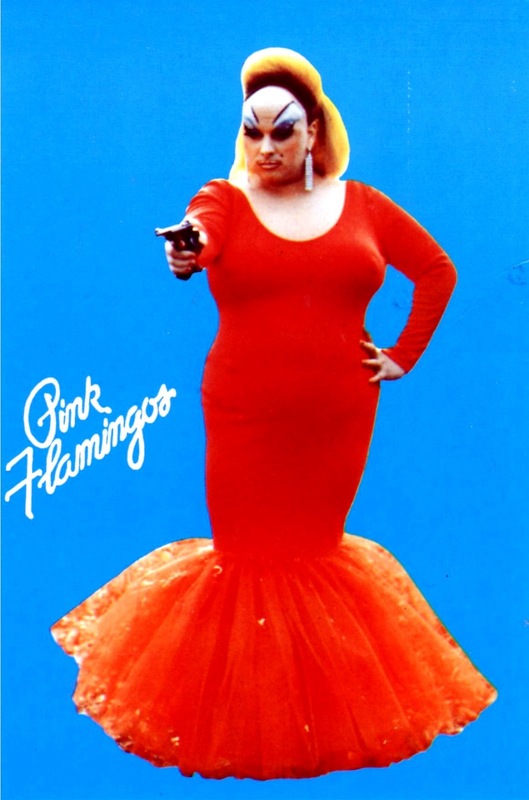 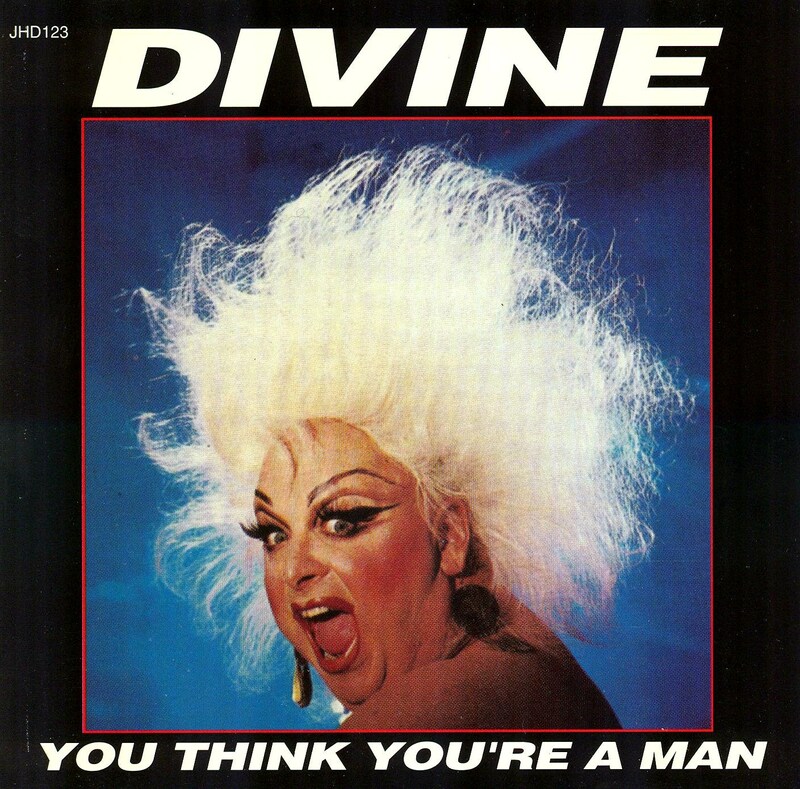 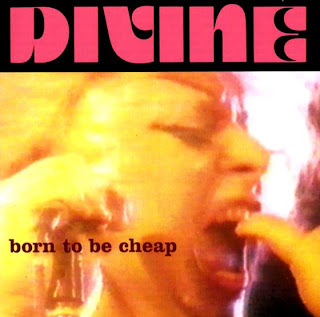 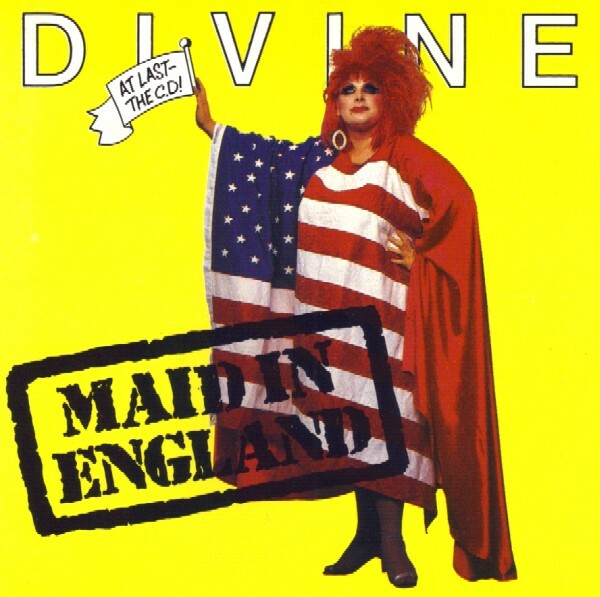 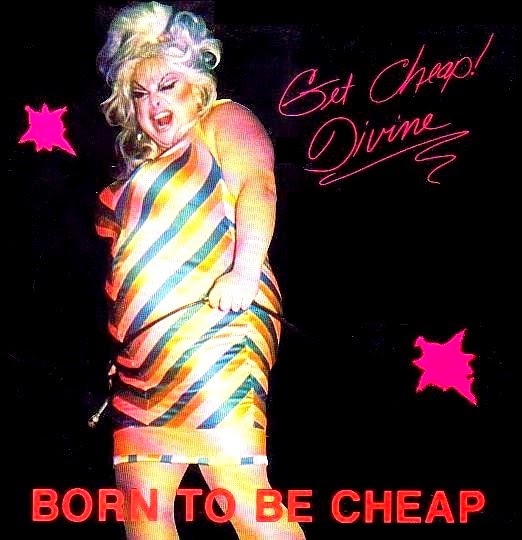 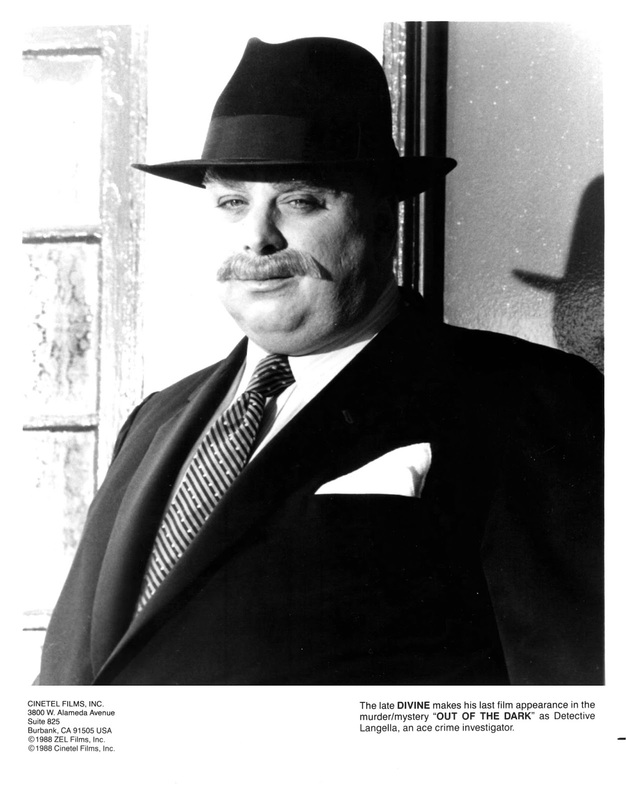 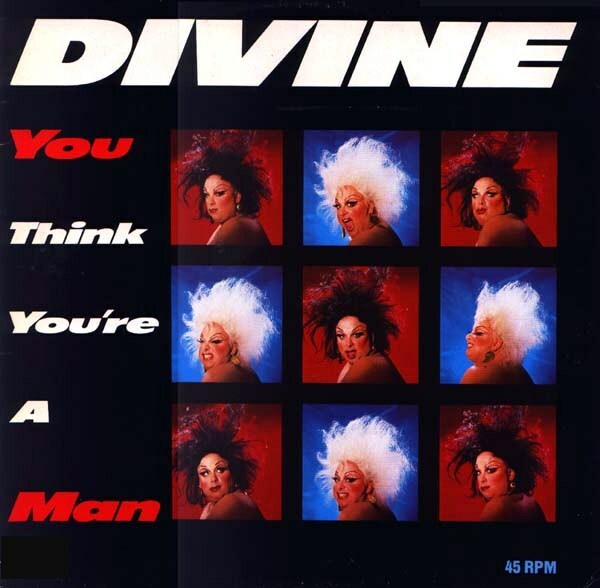 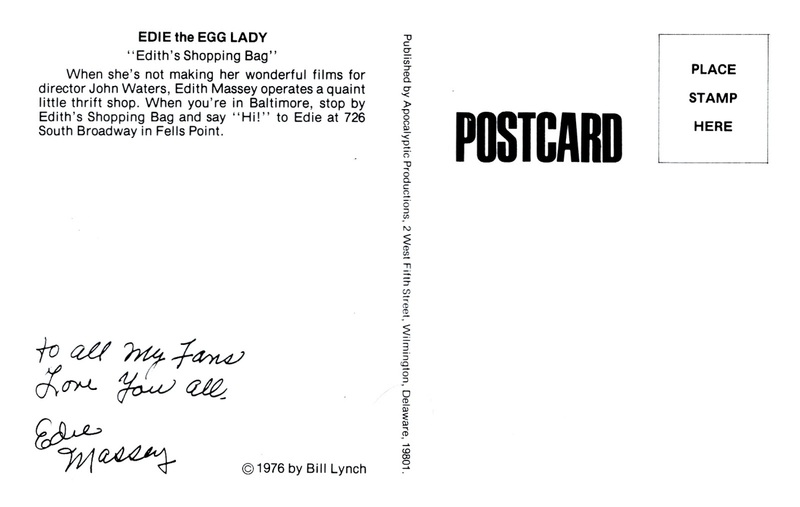 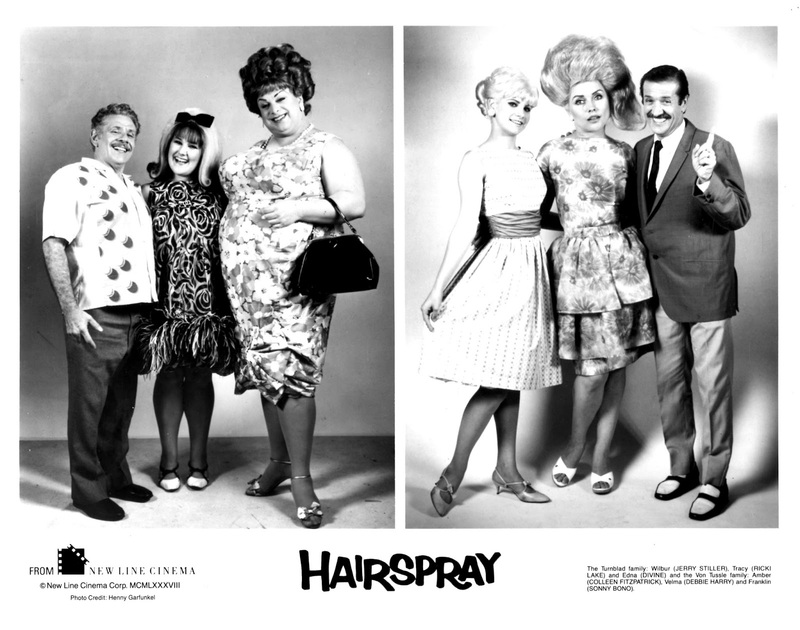 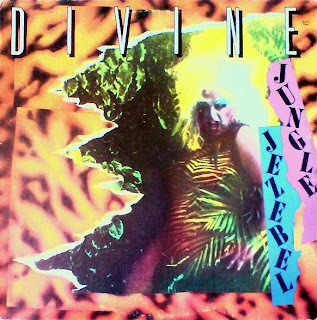 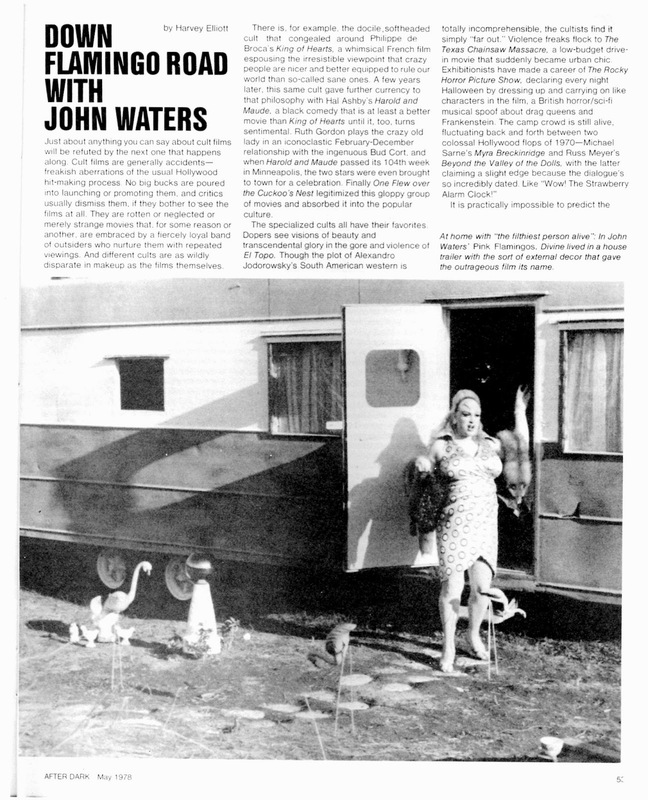 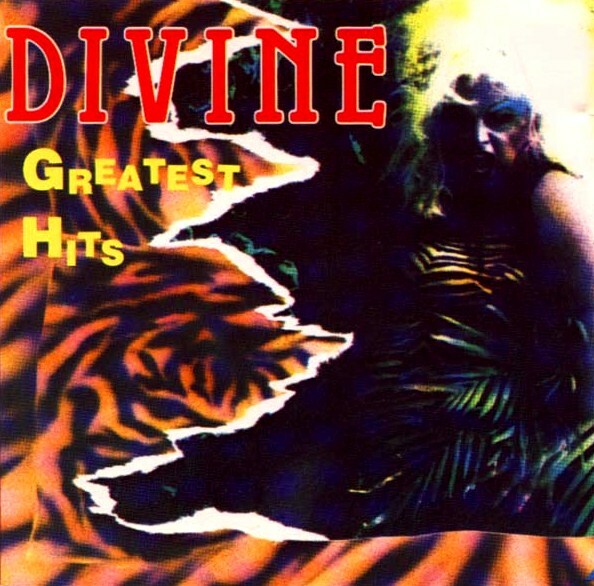 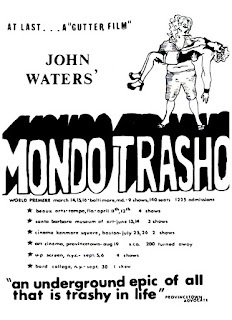 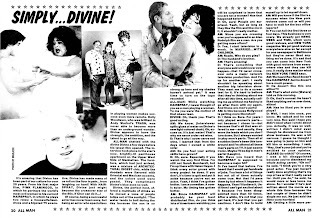 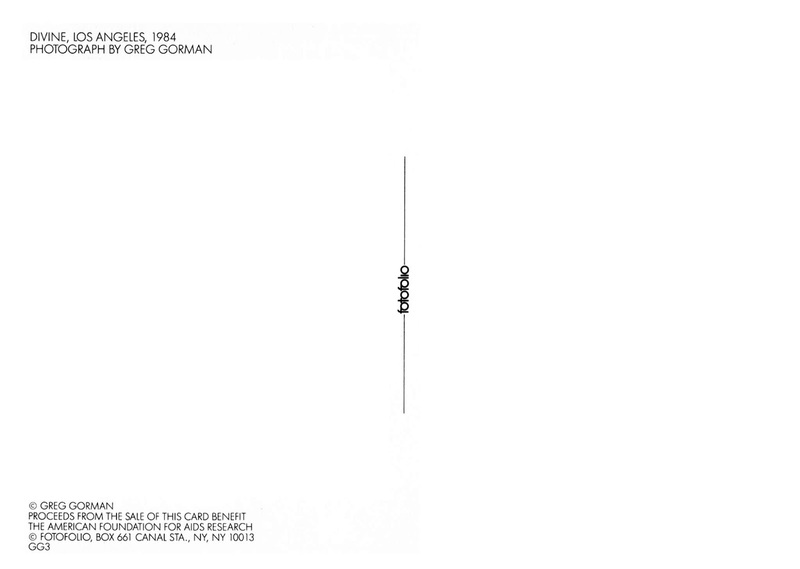 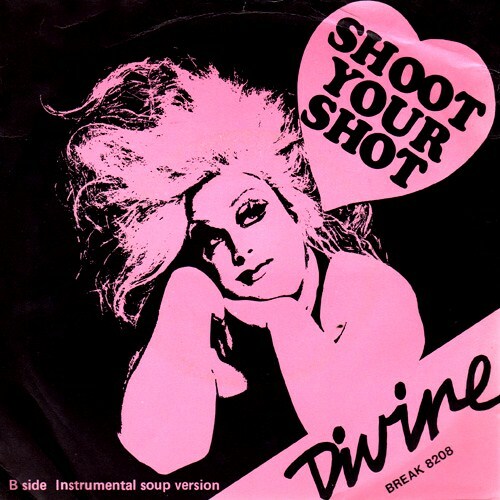 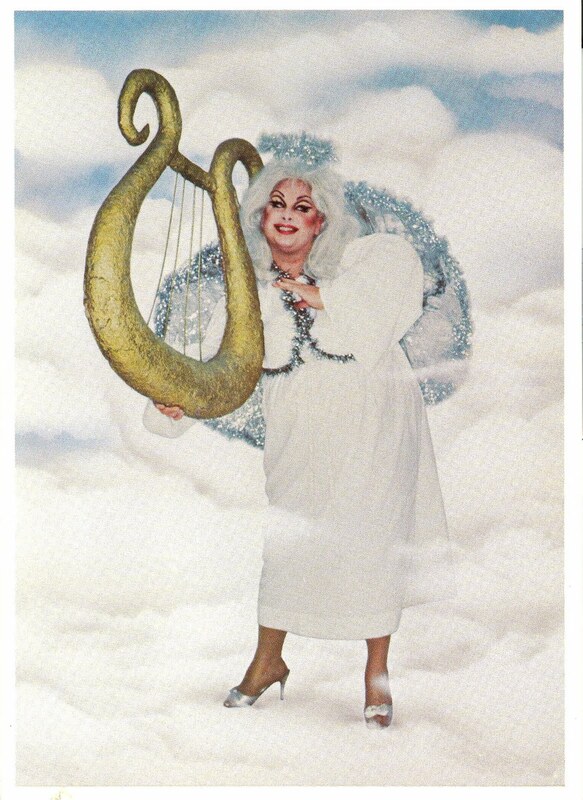 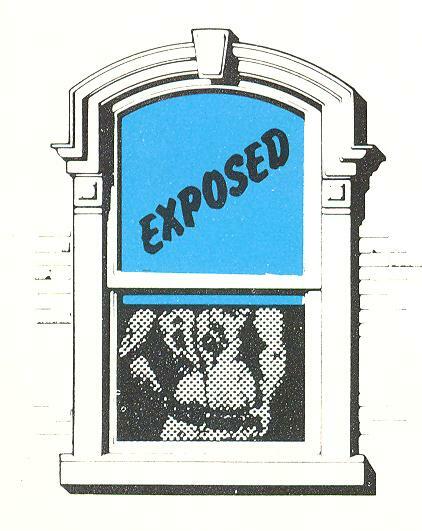 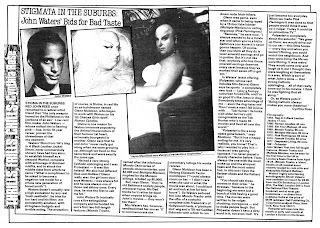 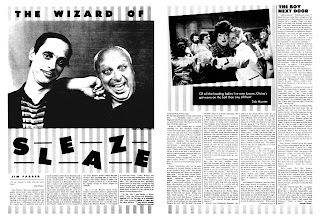 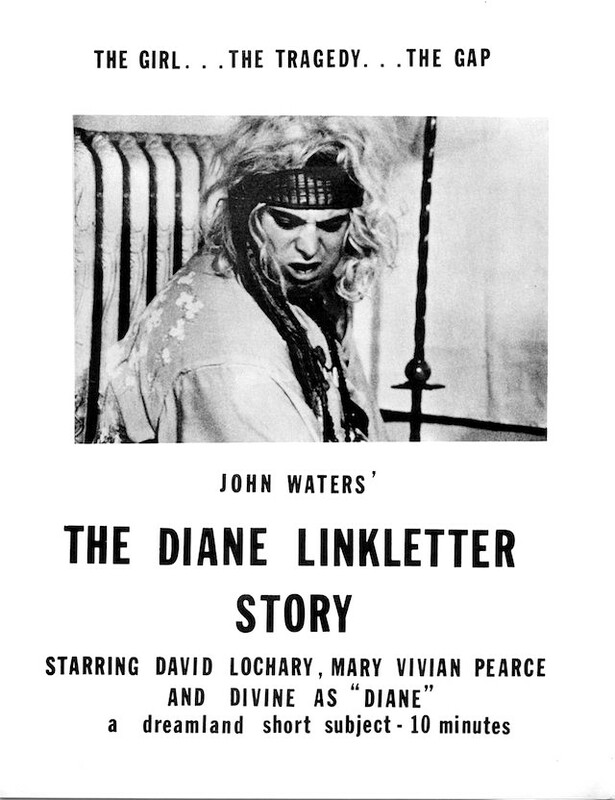 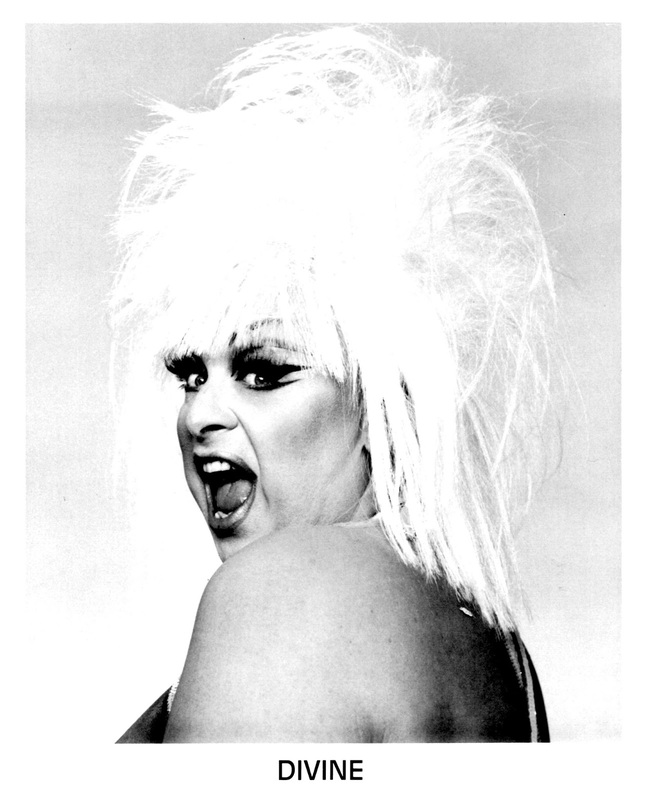 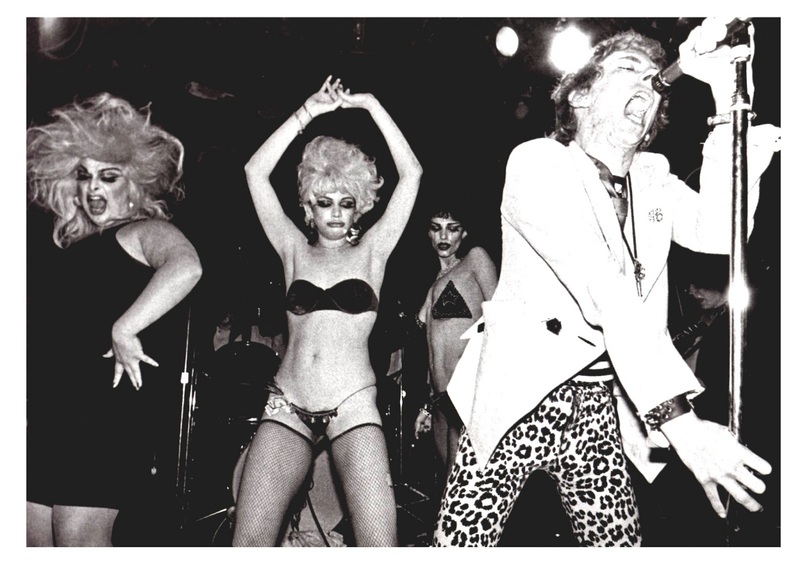 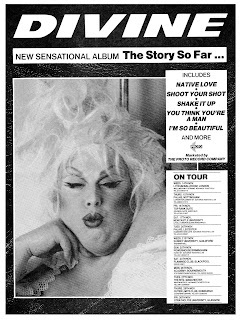 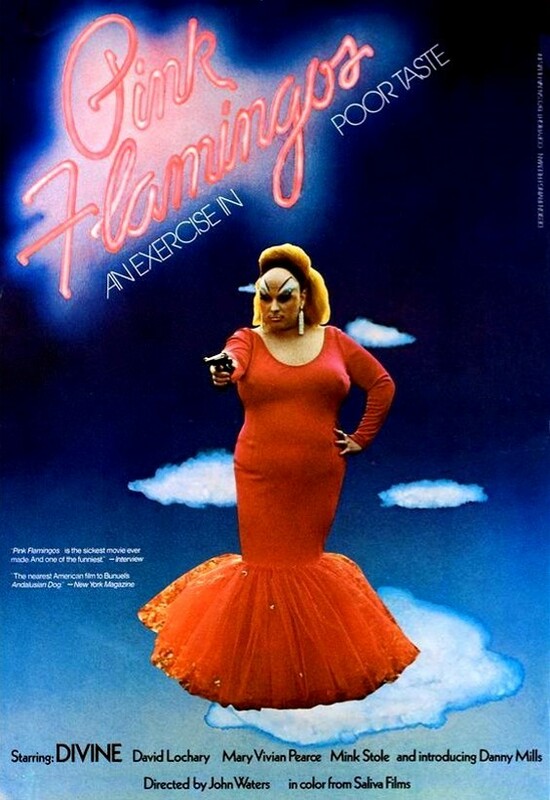 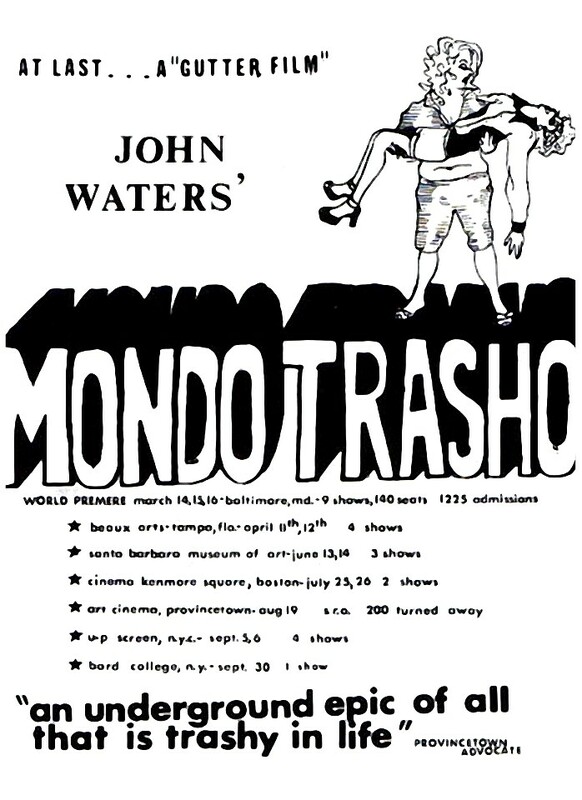 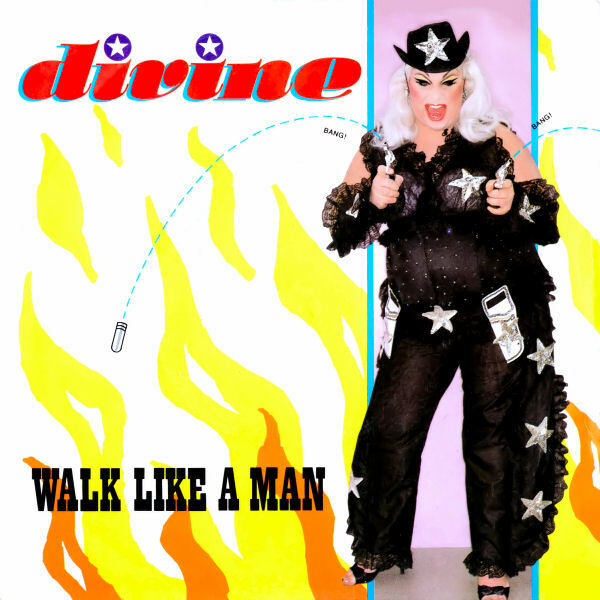 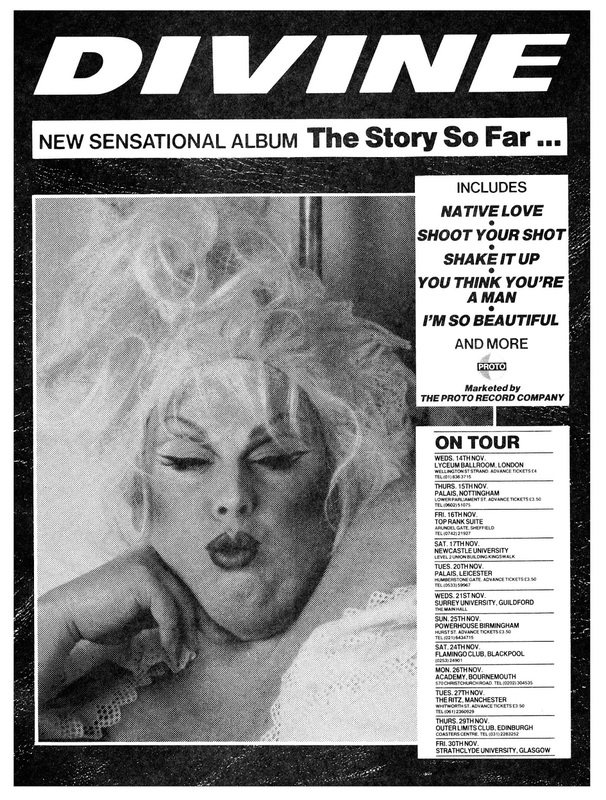 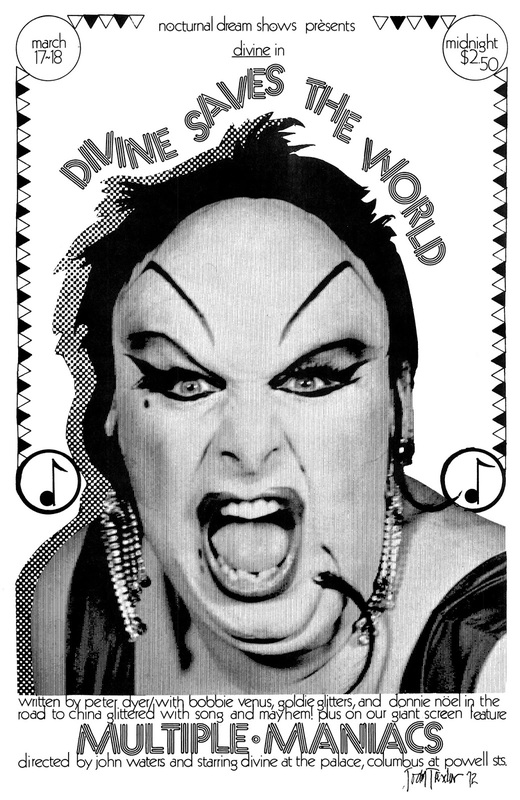 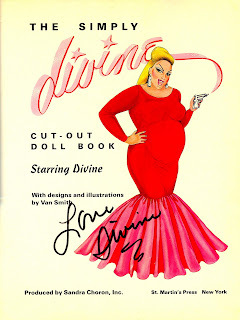 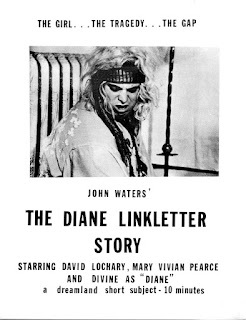 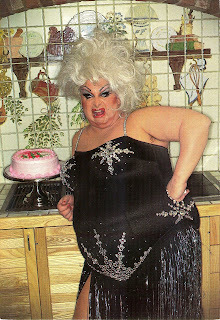 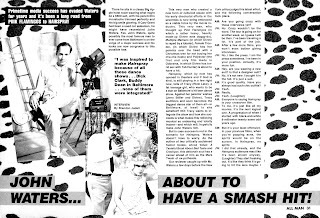 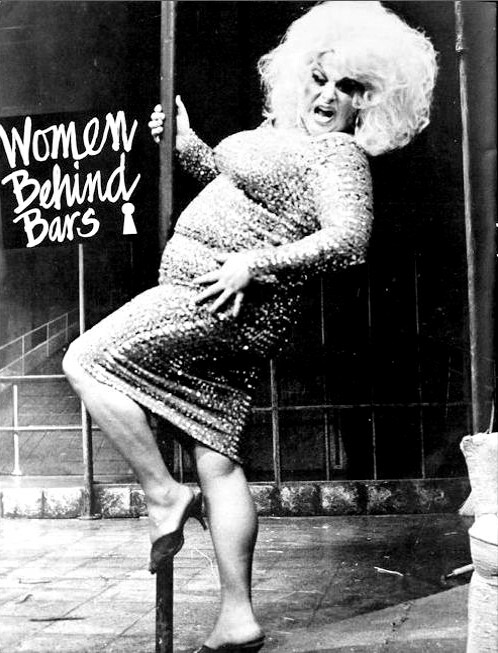 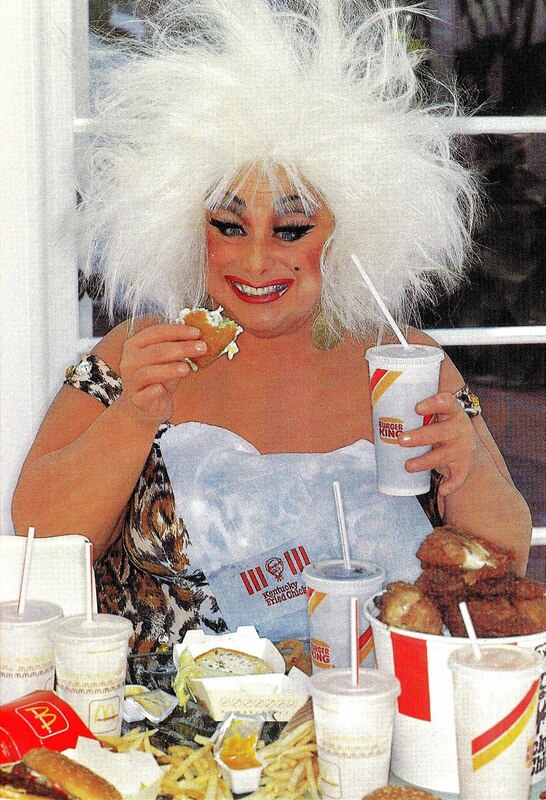 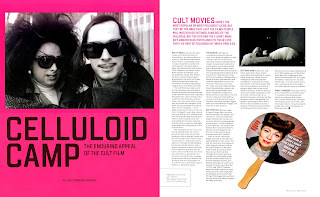 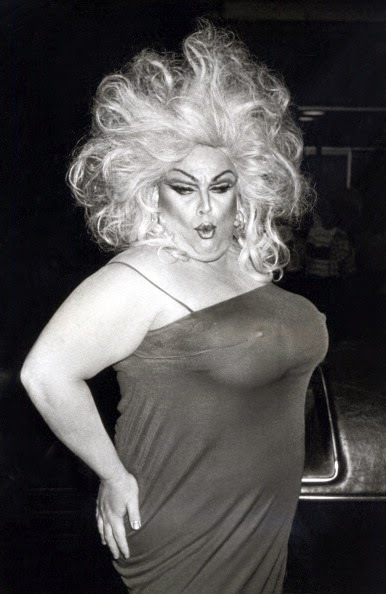 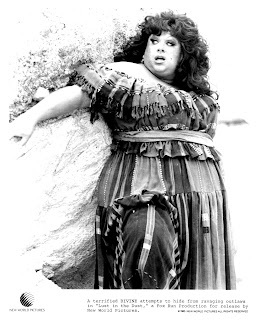 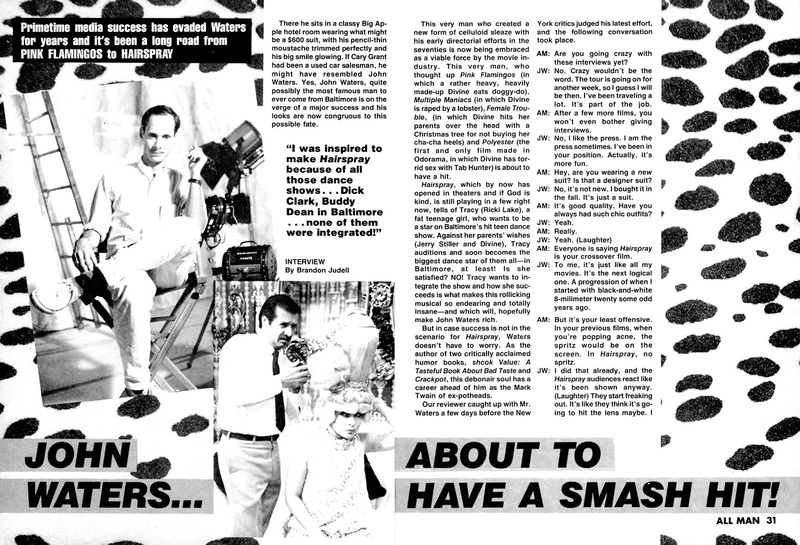 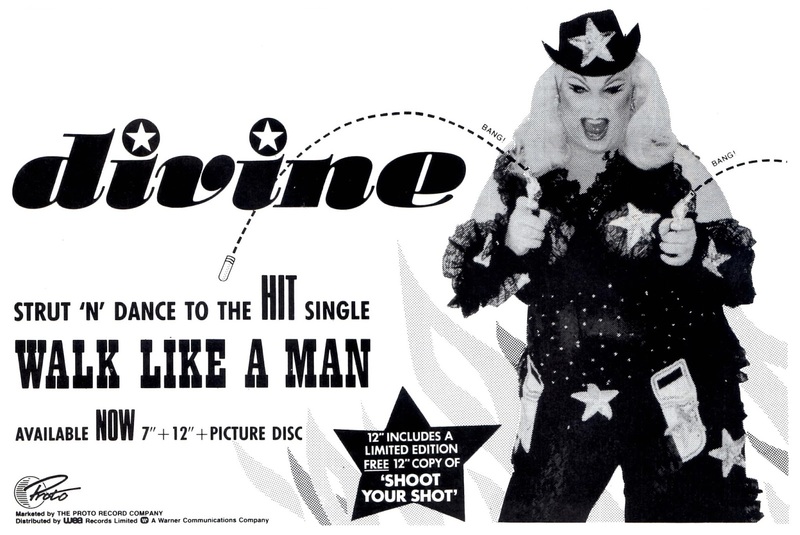 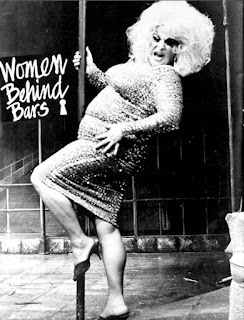 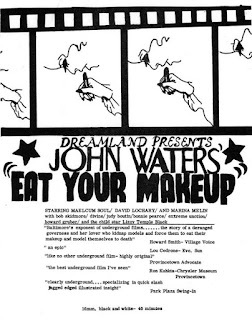 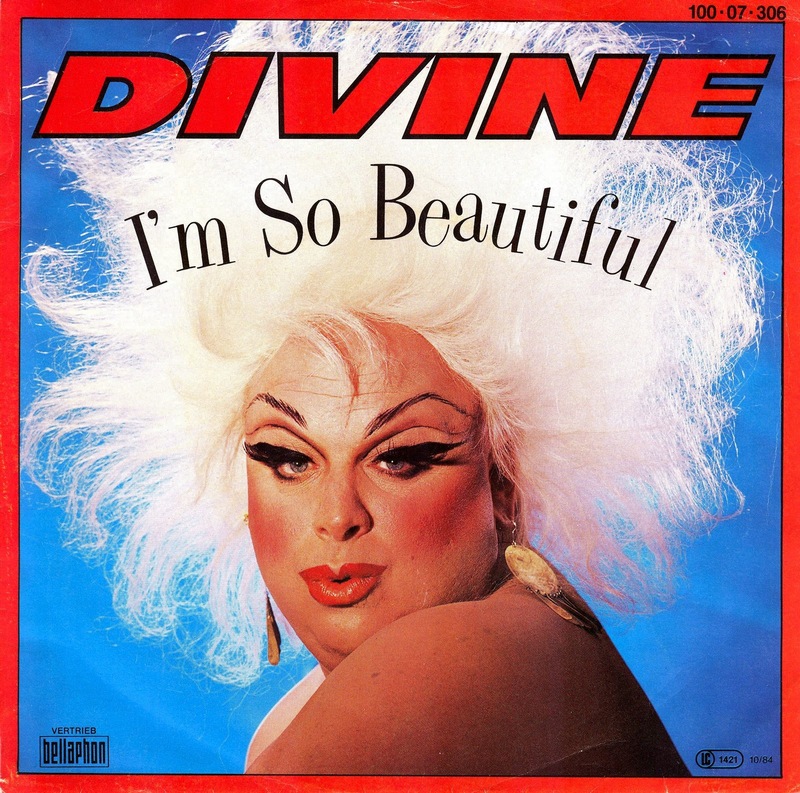 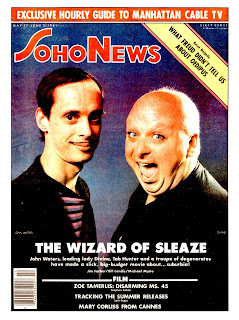 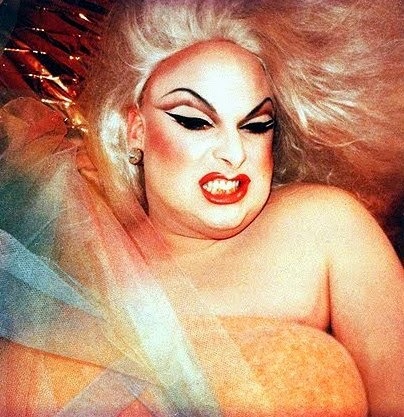 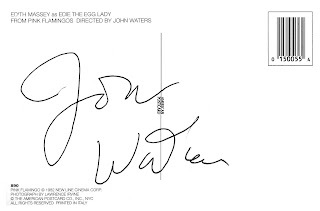 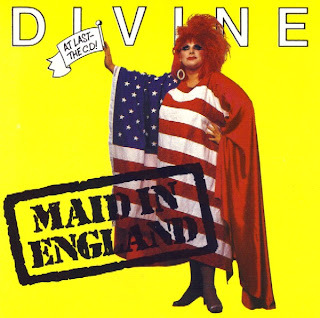 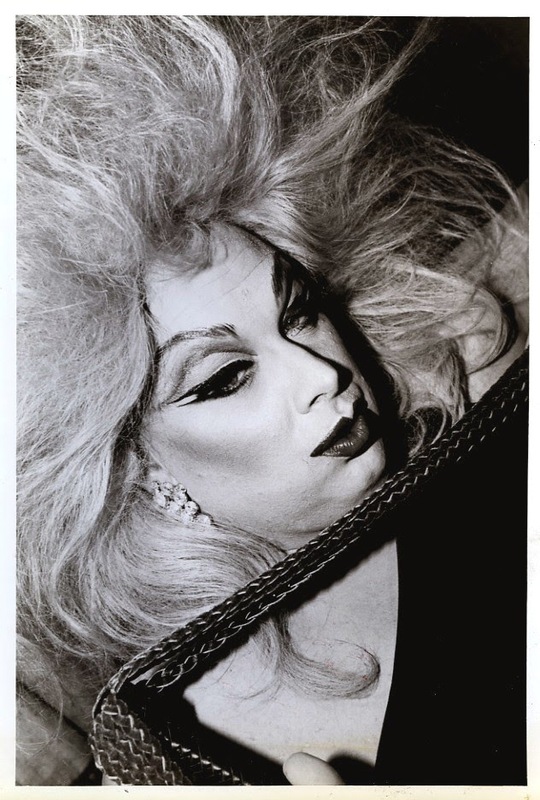 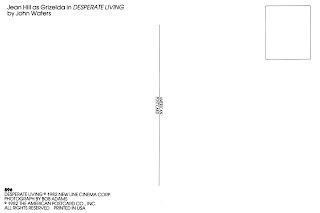 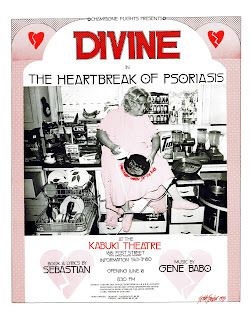 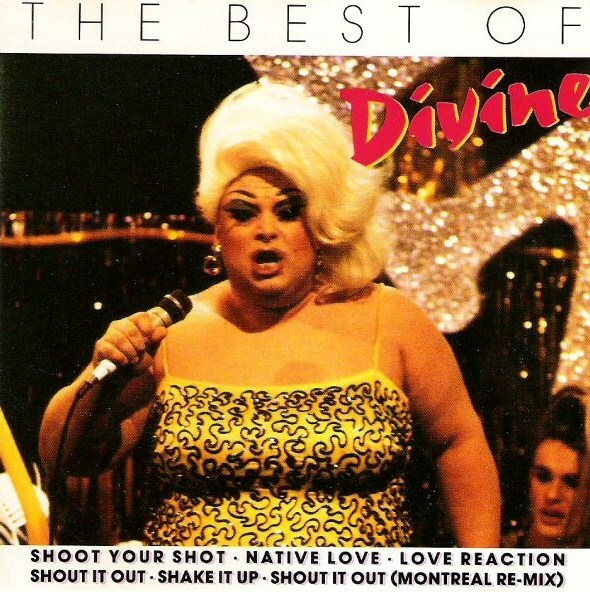 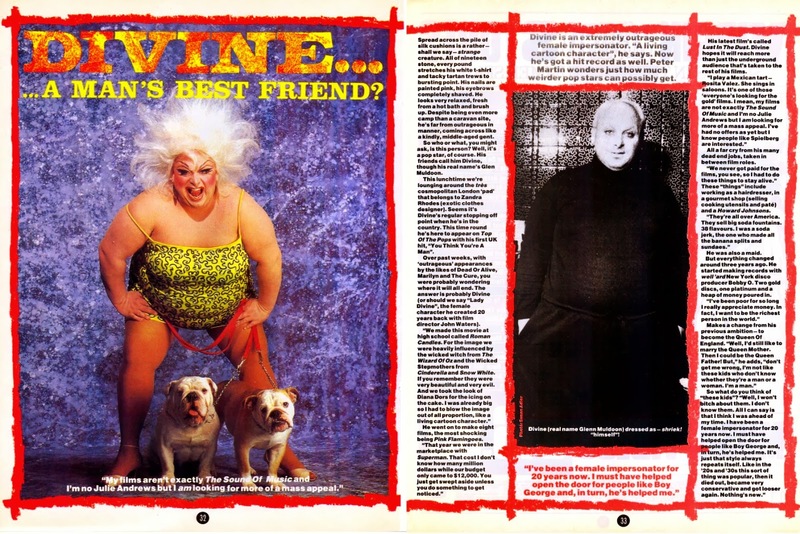 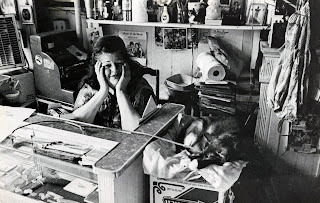 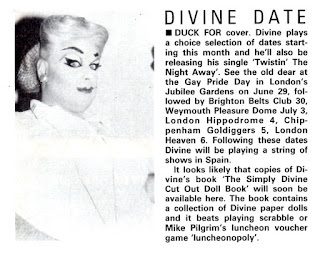 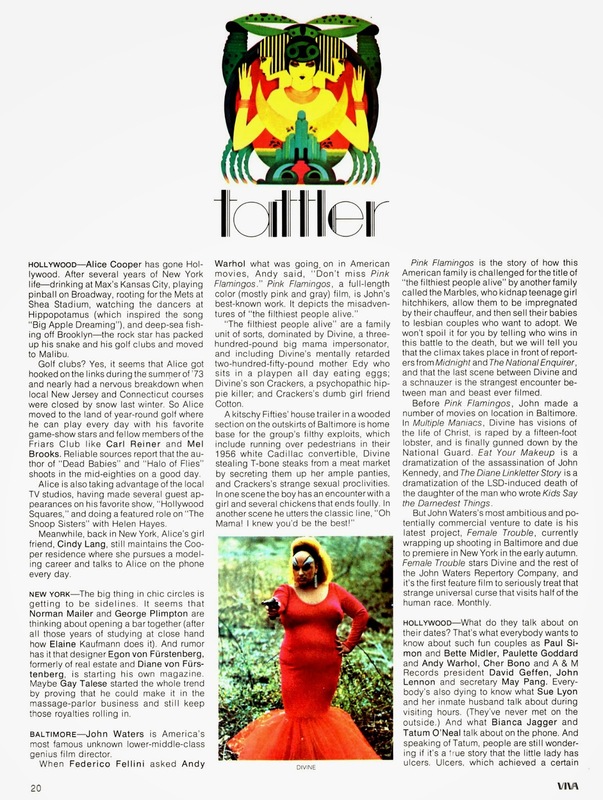 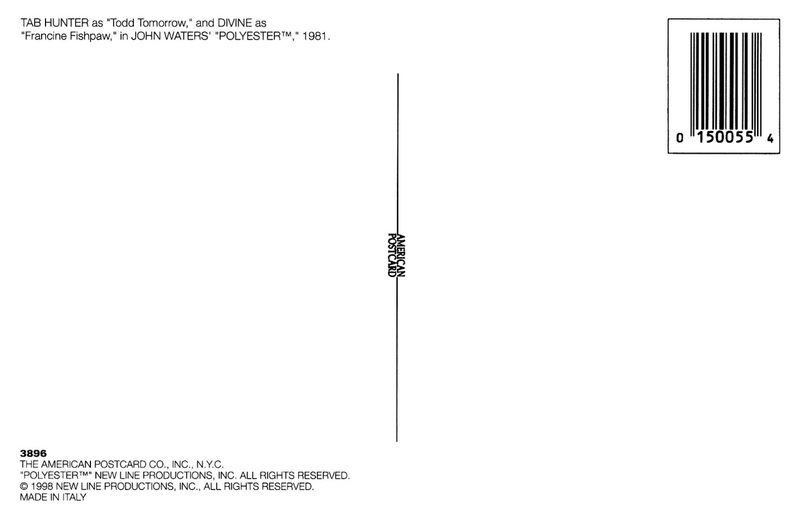 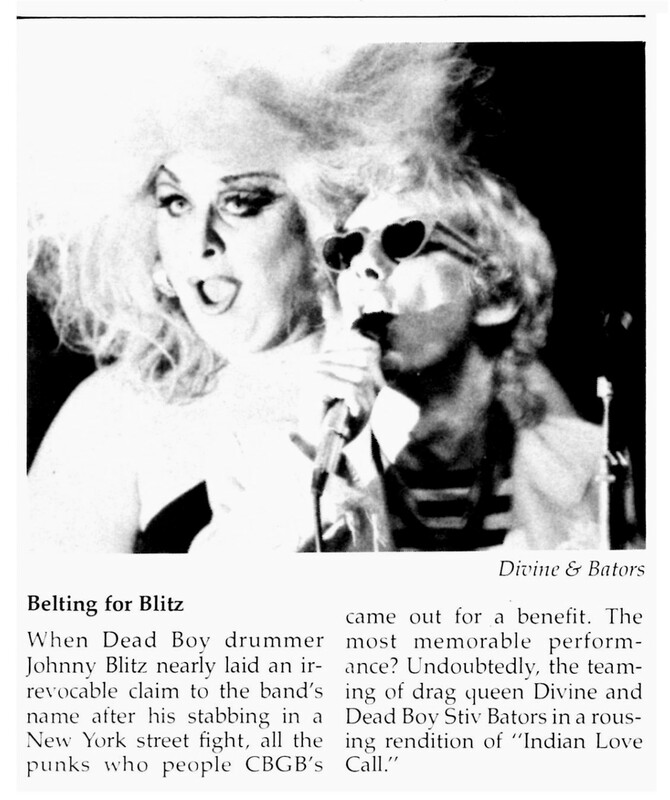 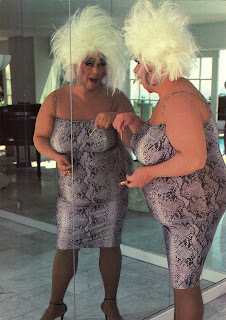 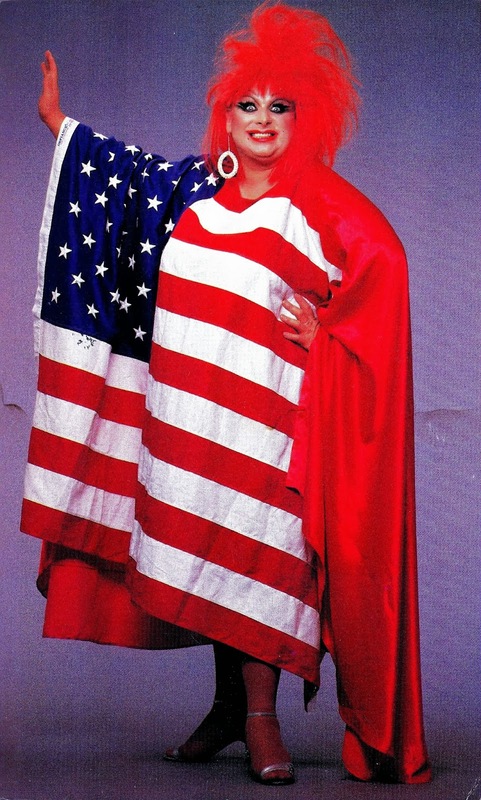 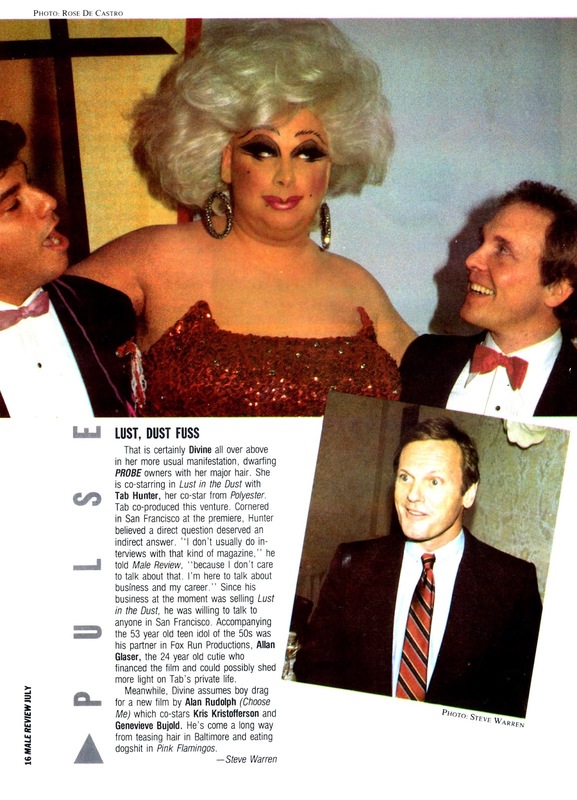 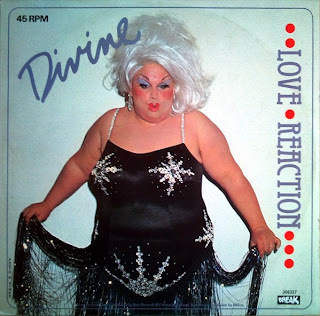 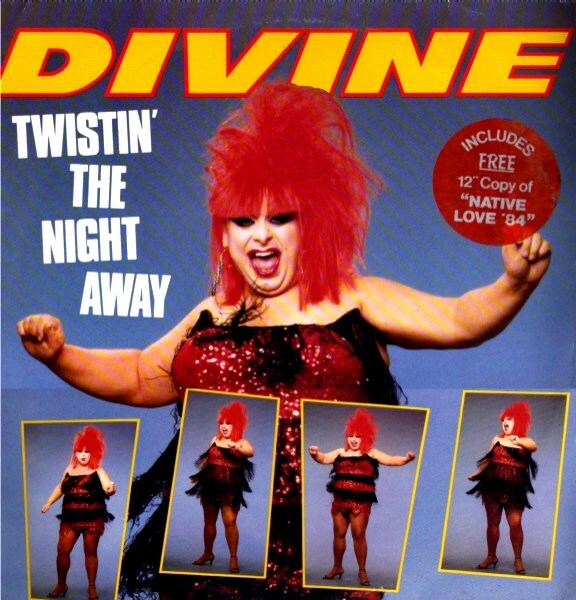 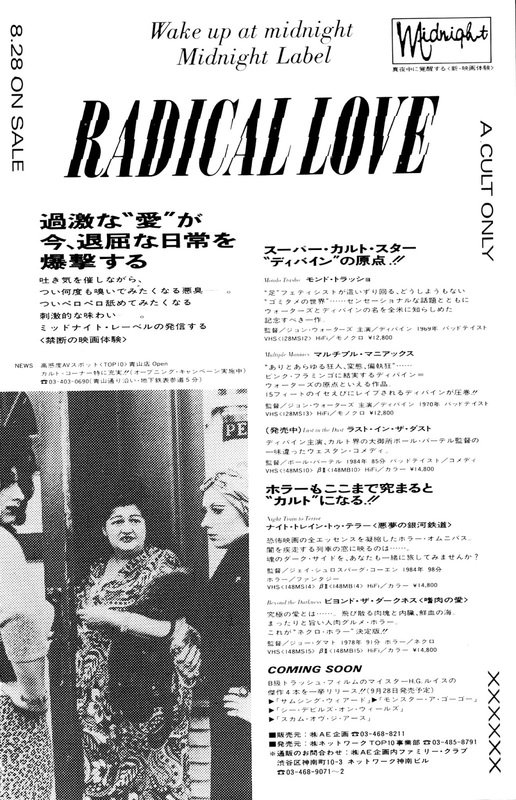 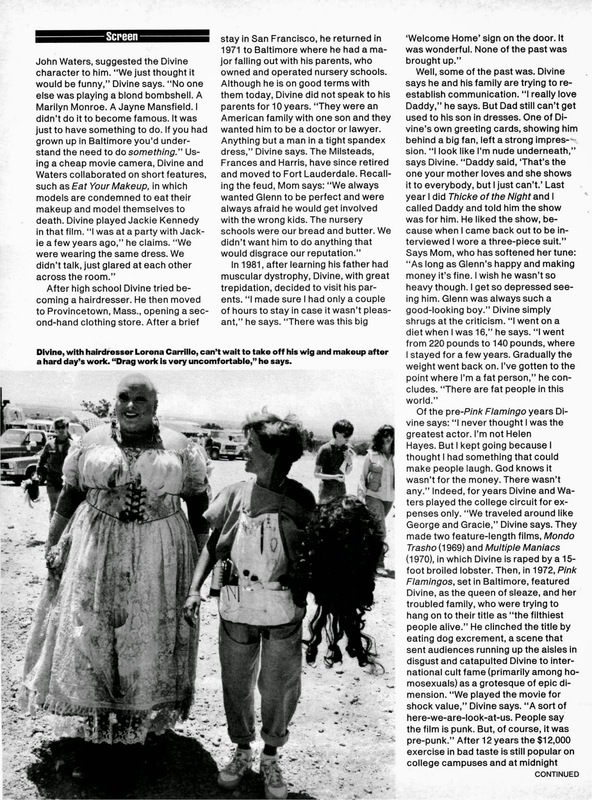 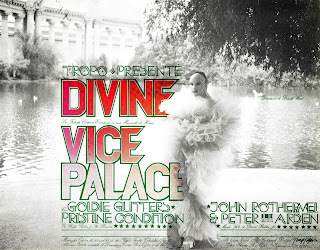 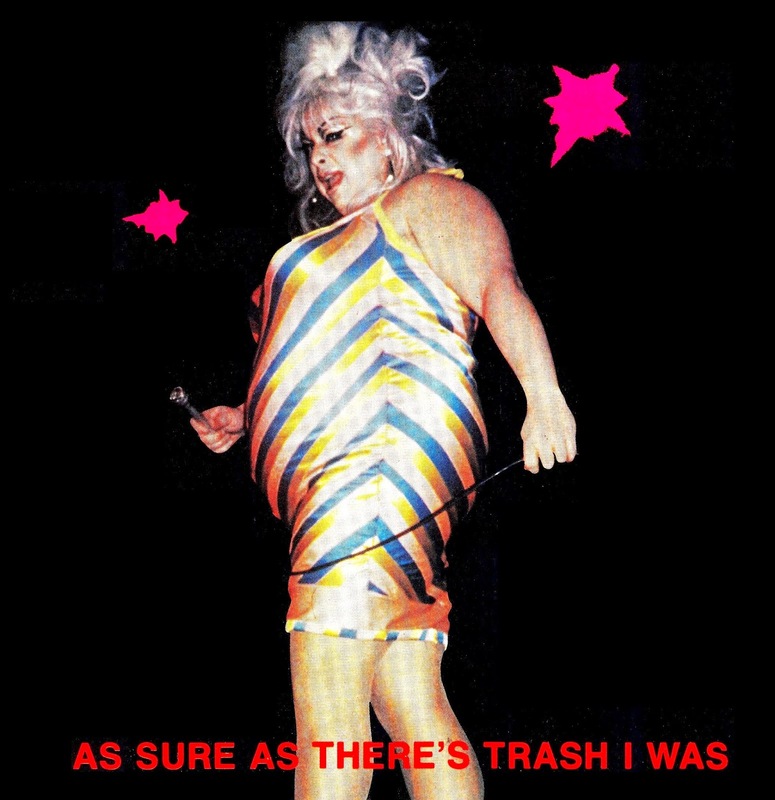 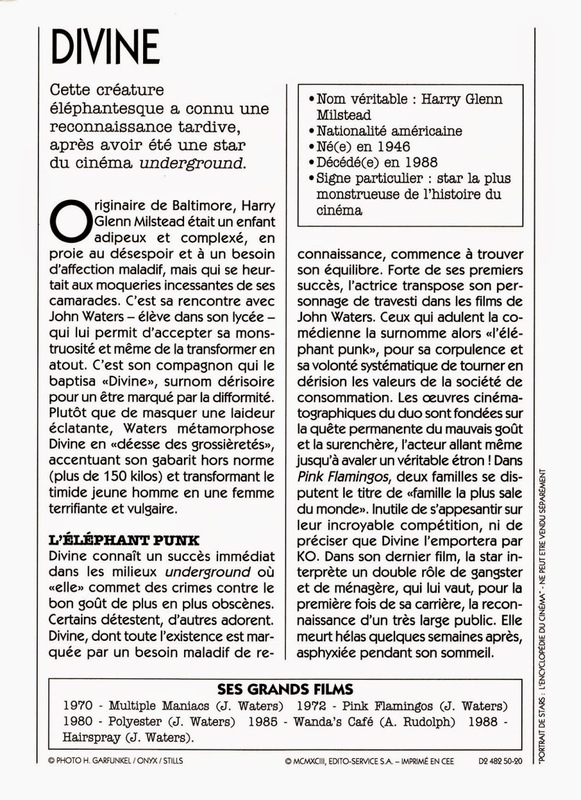 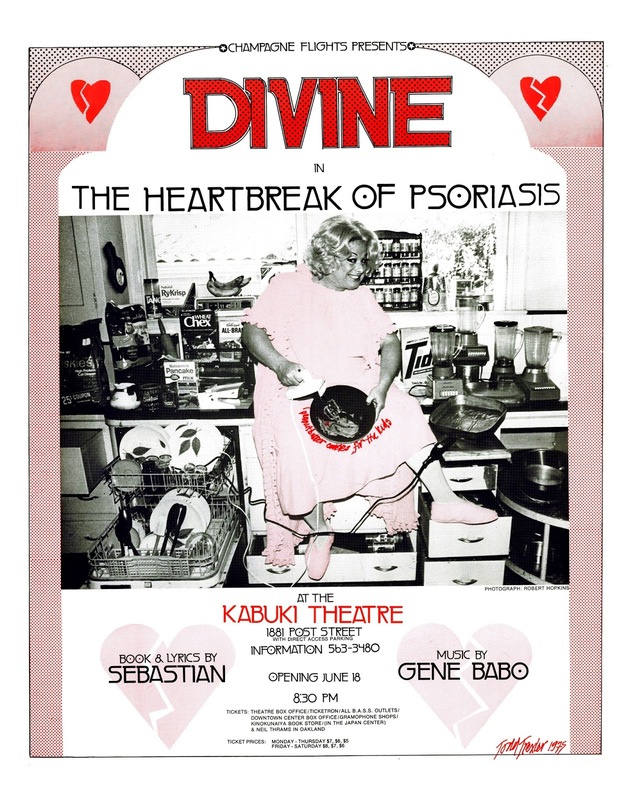 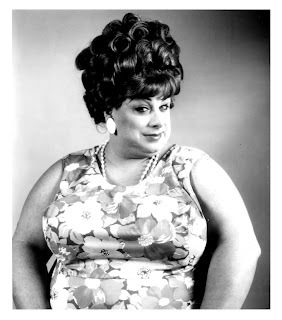 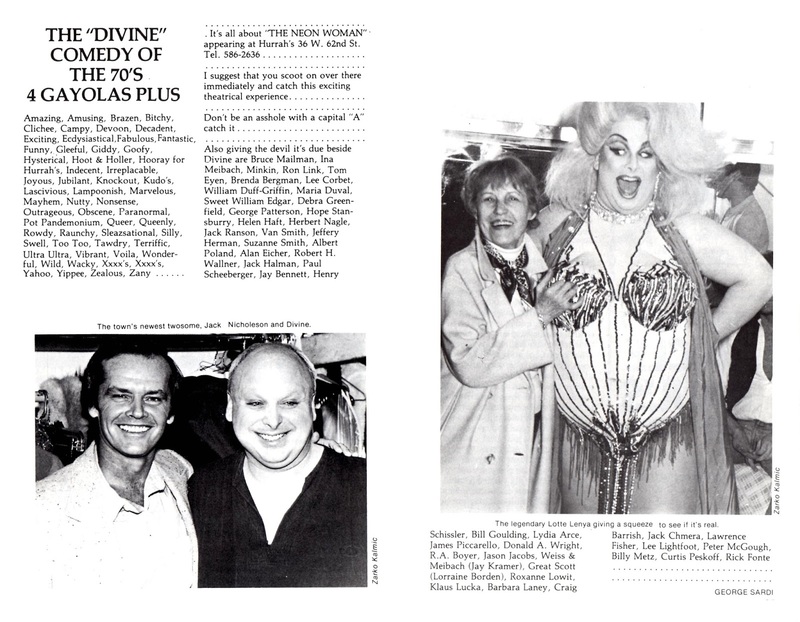 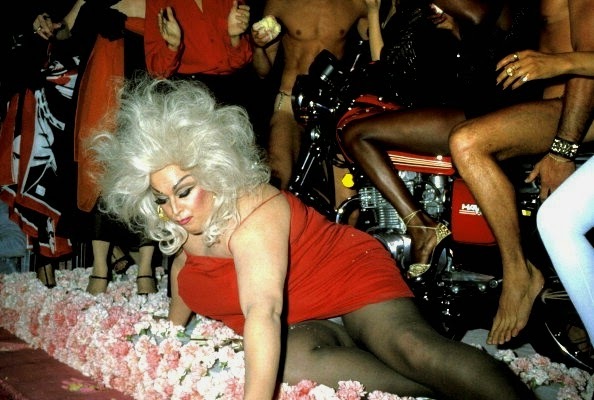 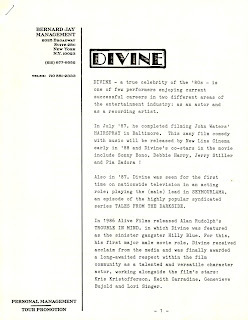 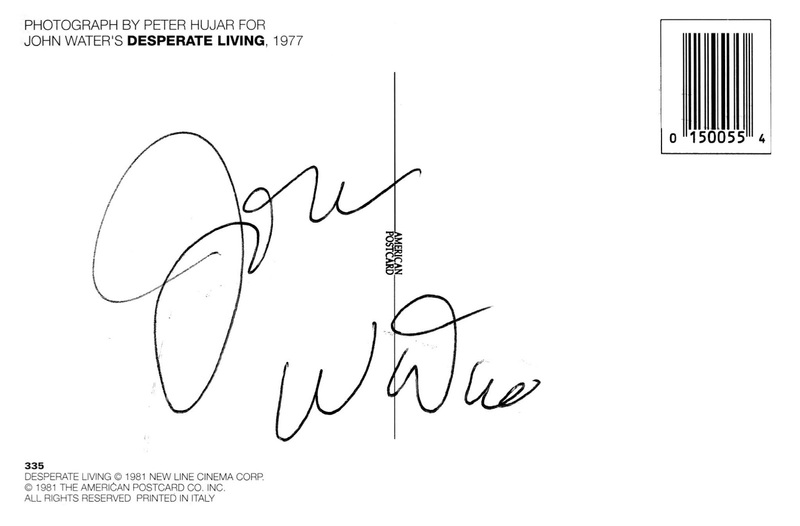 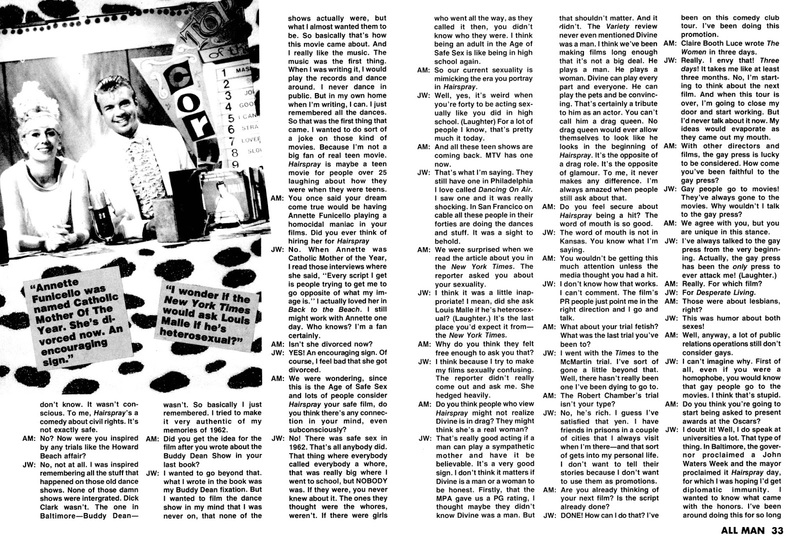 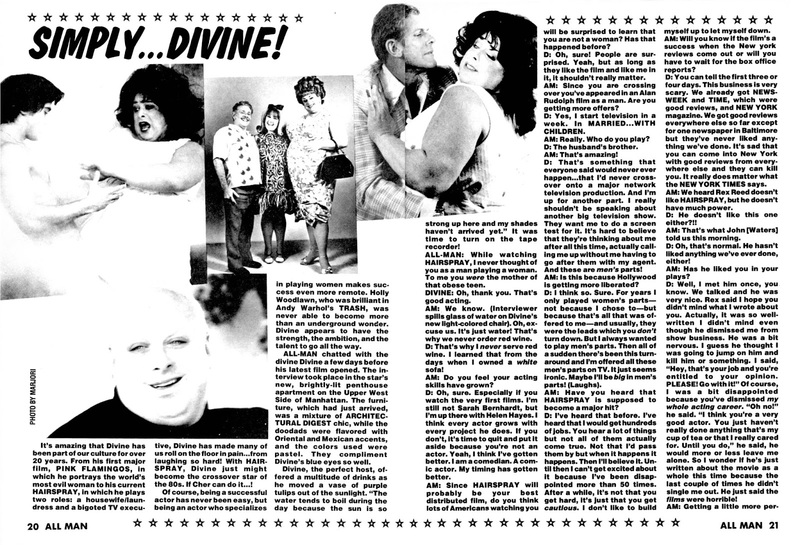 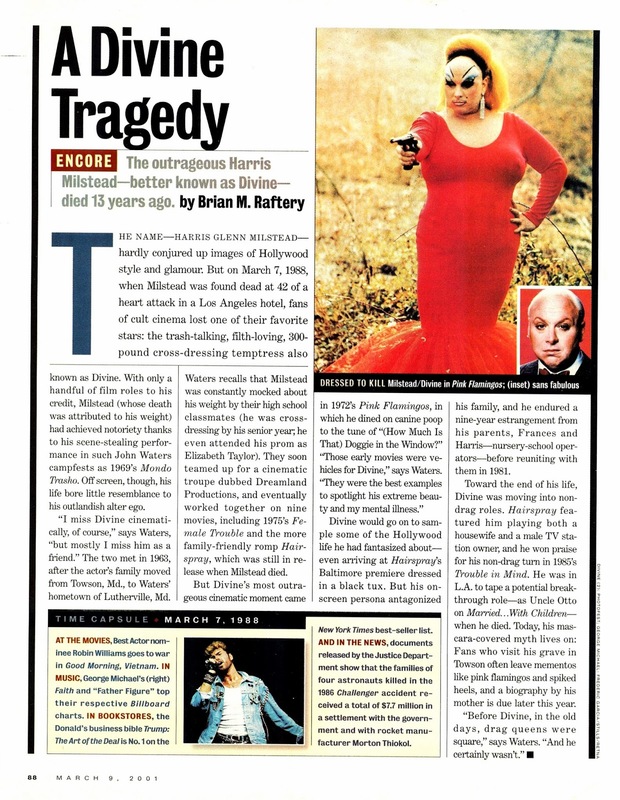 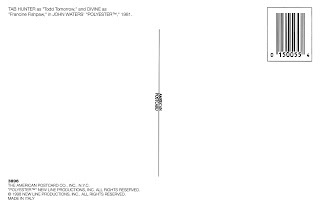 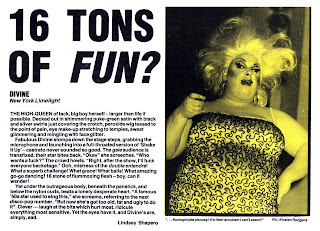 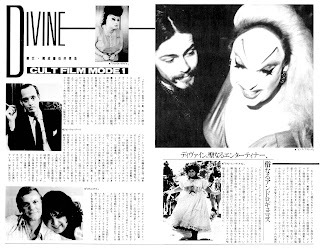 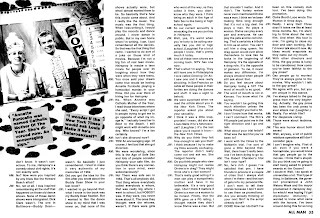 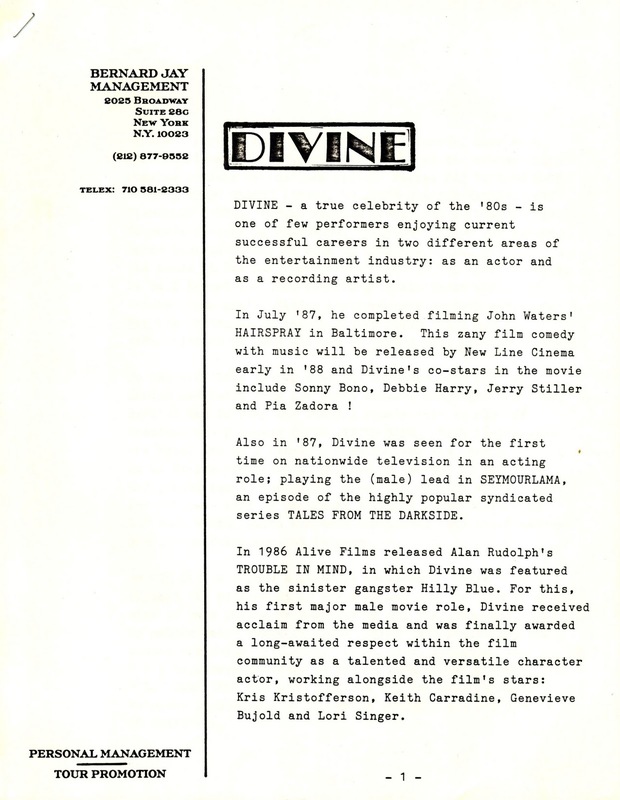 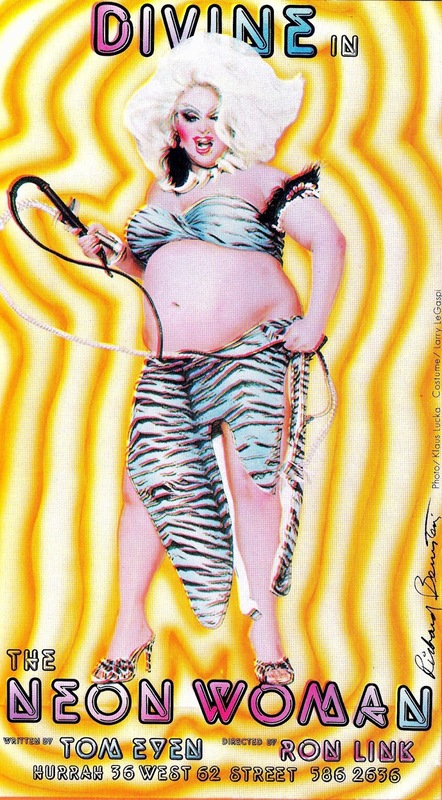 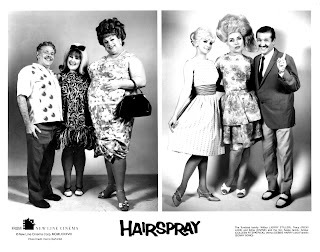 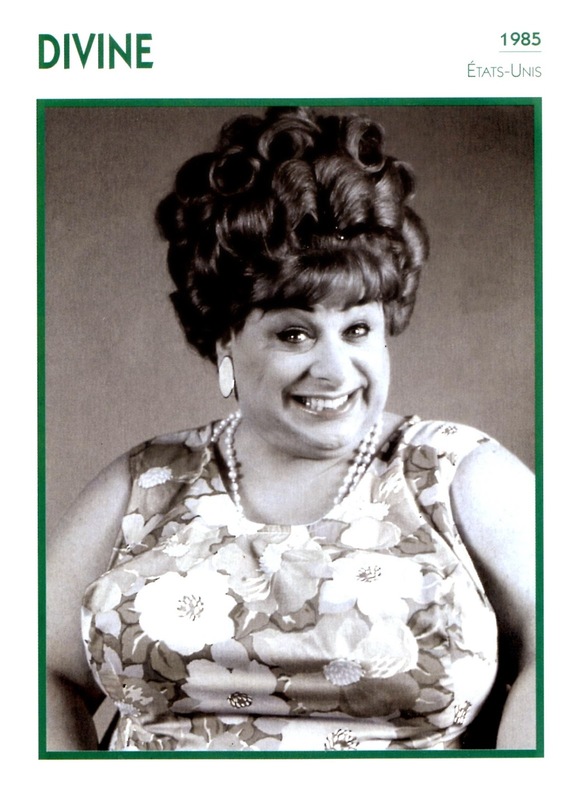 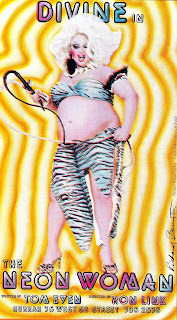 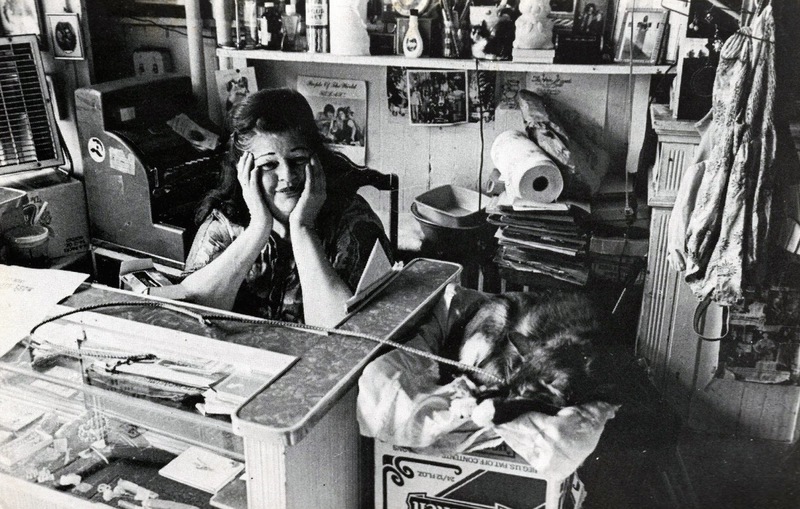 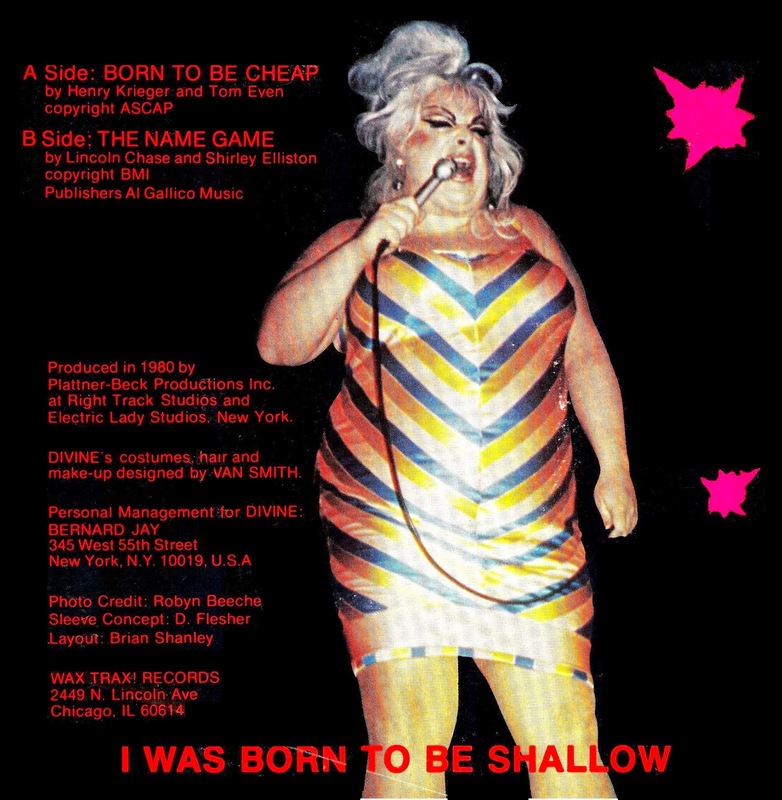 The last two records and full length CD released by Divine in 1988, which are mentioned in the press release. 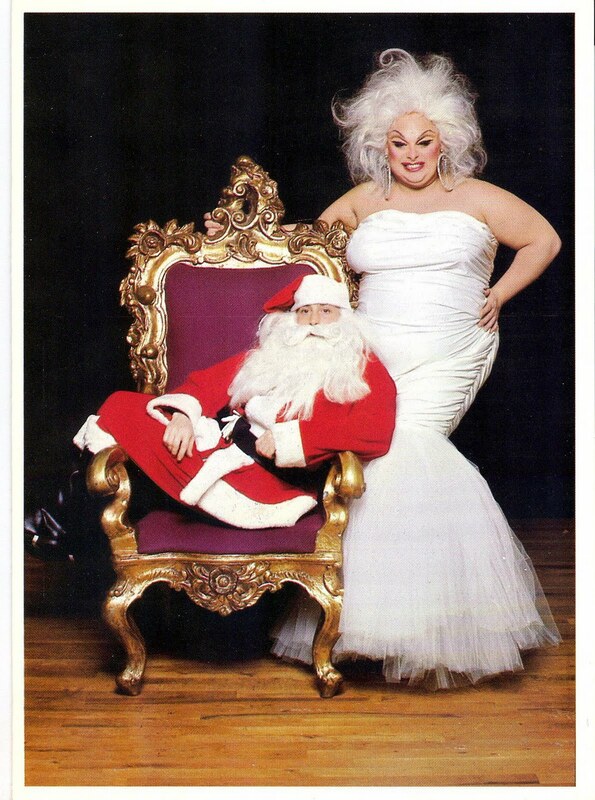 LOVELY BLURRY PHOTO - DON'T YA THINK!